It has been a lovely spring in Switzerland, so far. 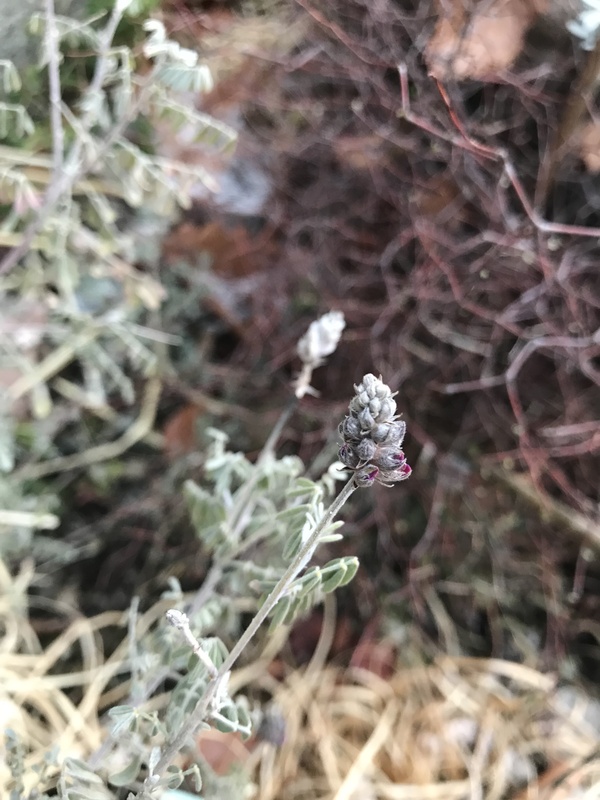 Twice, we had almost-frost nights, but there was no damage done to the emerging foliage and blooms. 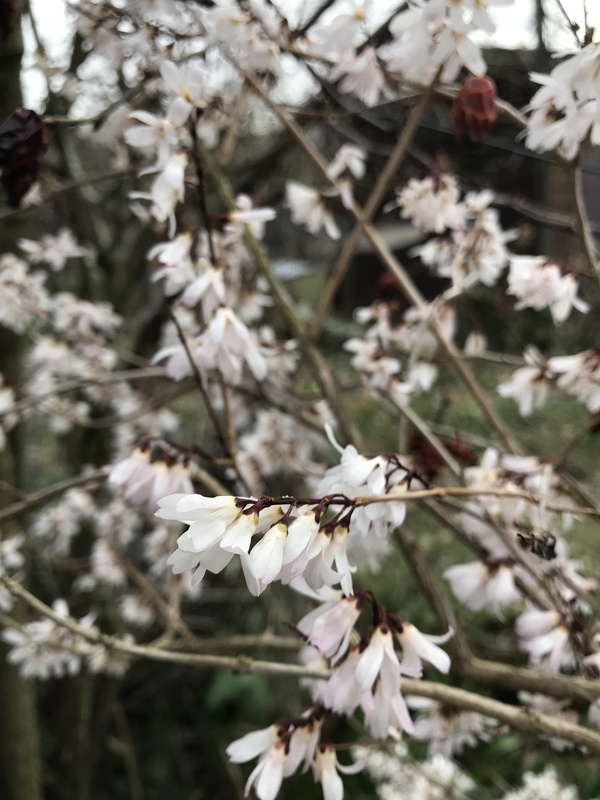 In this blog post, I’m featuring the blooms in my garden. Garden Bloggers‘ Bloom Day is a meme hosted by May Dreams Gardens. Go over there and check out the other participants‘ blooming spectacles. 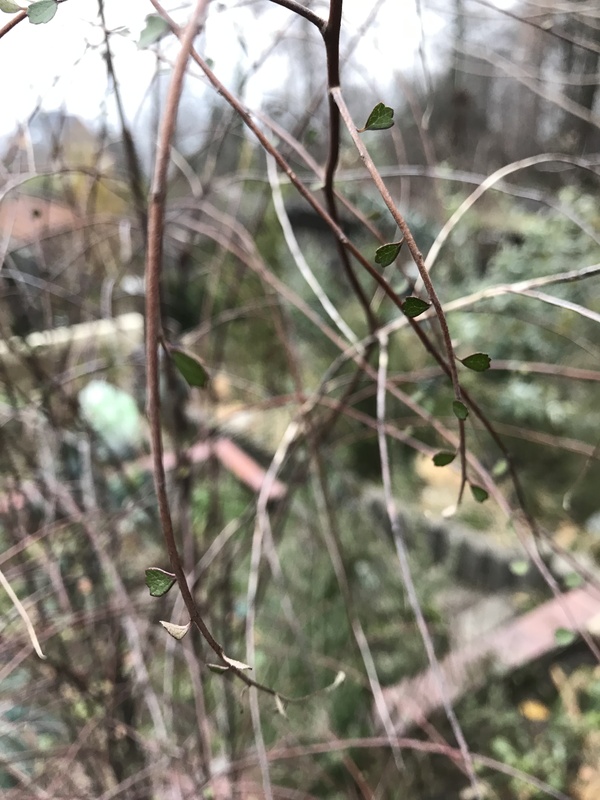 Akebia trifoliata, or Chocolate vine, fills the air with its heavenly scent (not like chocolate, though). 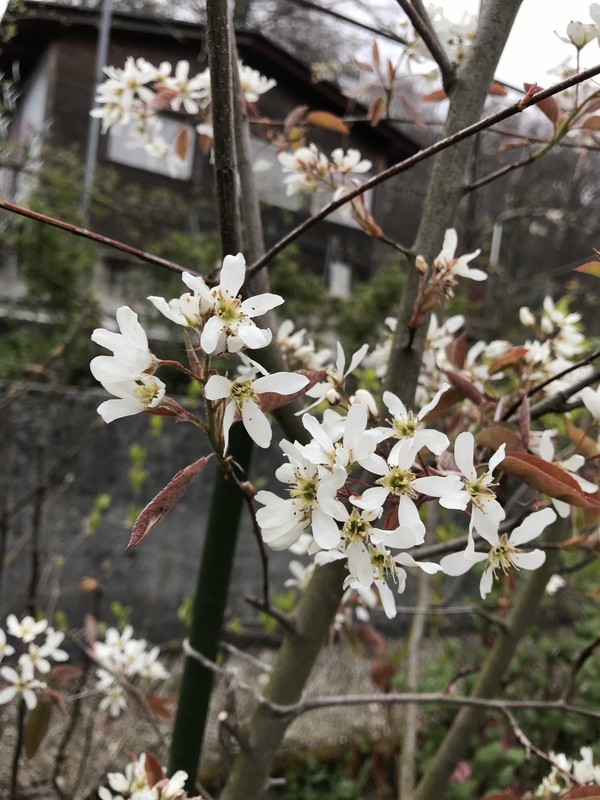 Amelanchier lamarckii is a nice shrub, commonly grown here. 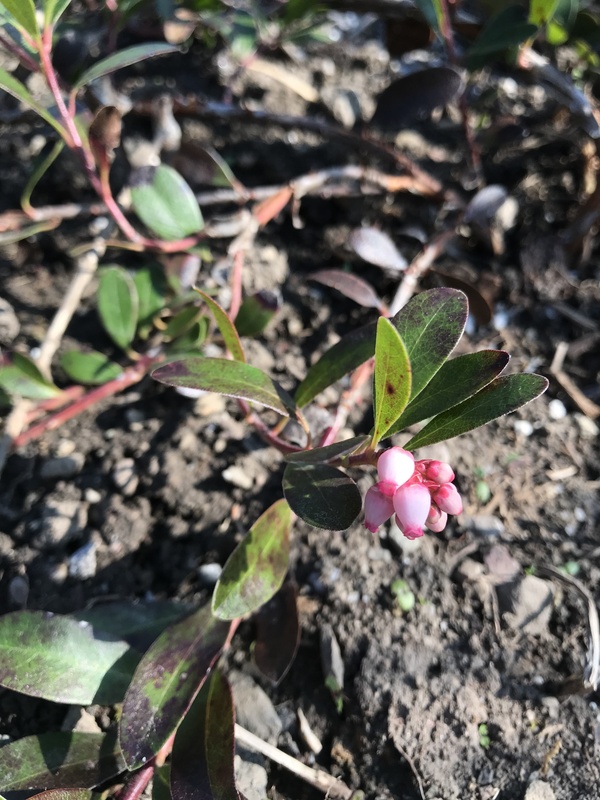 The berries, after the blooms, are delicious. 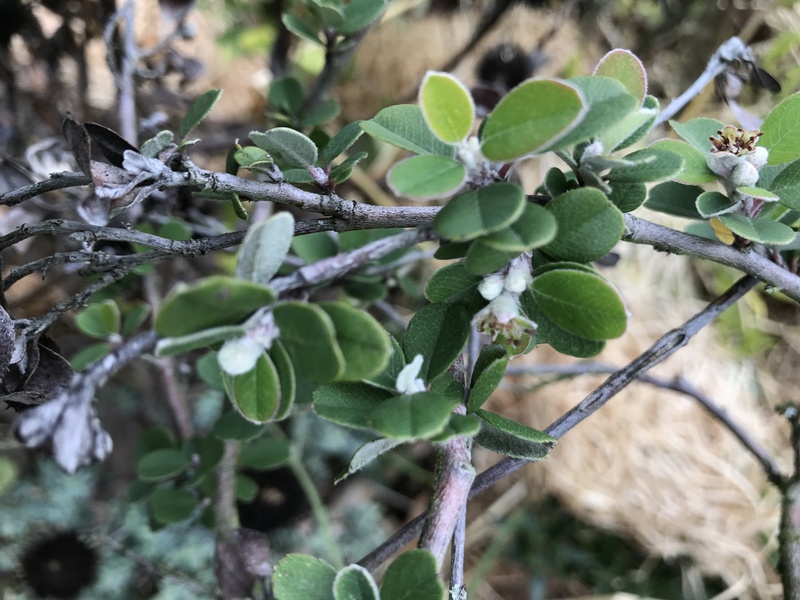 Arctostaphylos nevadensis is newly acquired and already blooming. 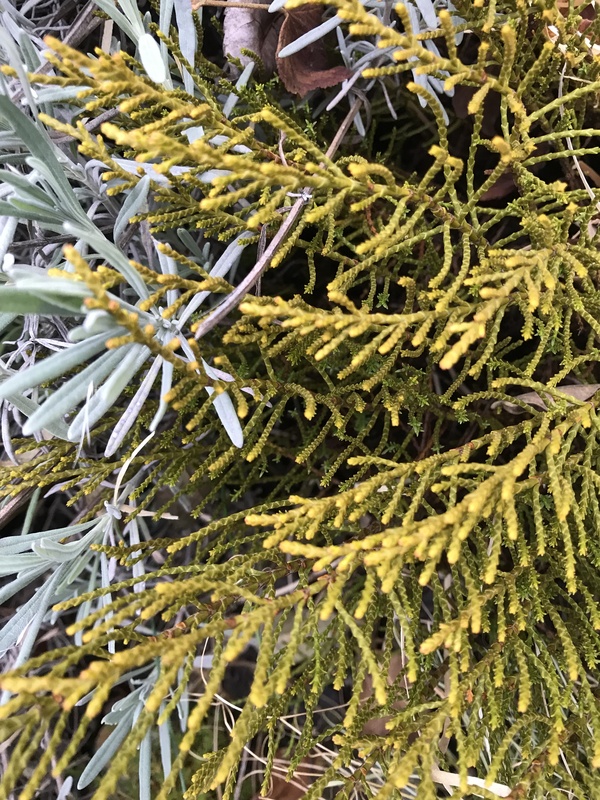 It looks similar to A. uva-ursi, but has nicer foliage, imo. 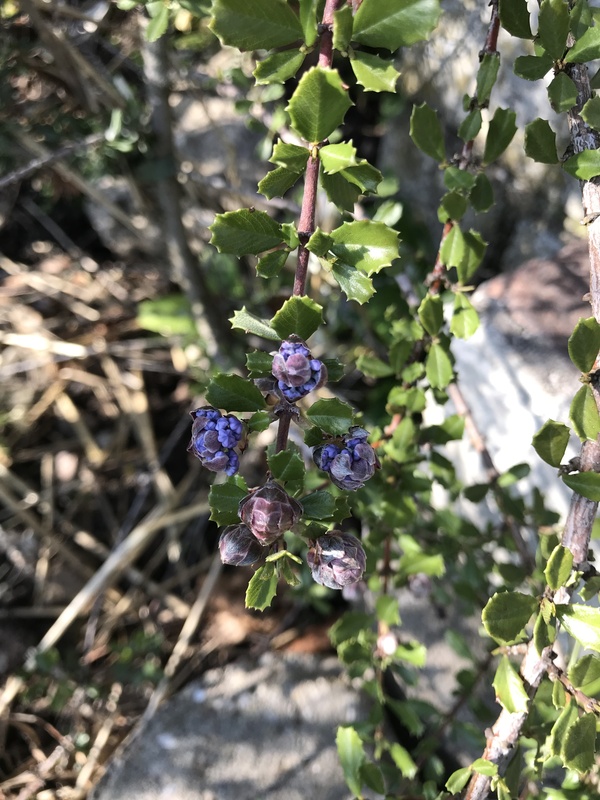 Ceanothus gloriosus x masonii ‚Blue Jeans‘ will soon be in bloom. 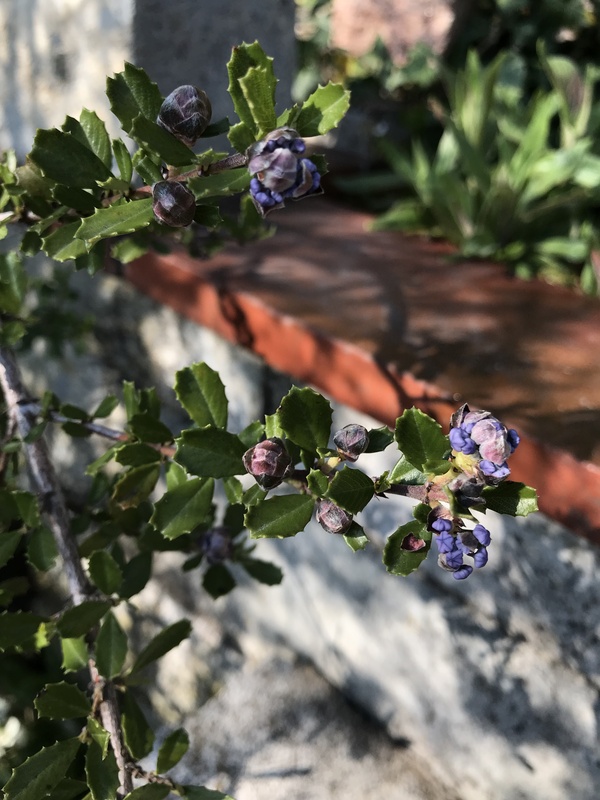 My favorite Ceanothus! Just look at that foliage! 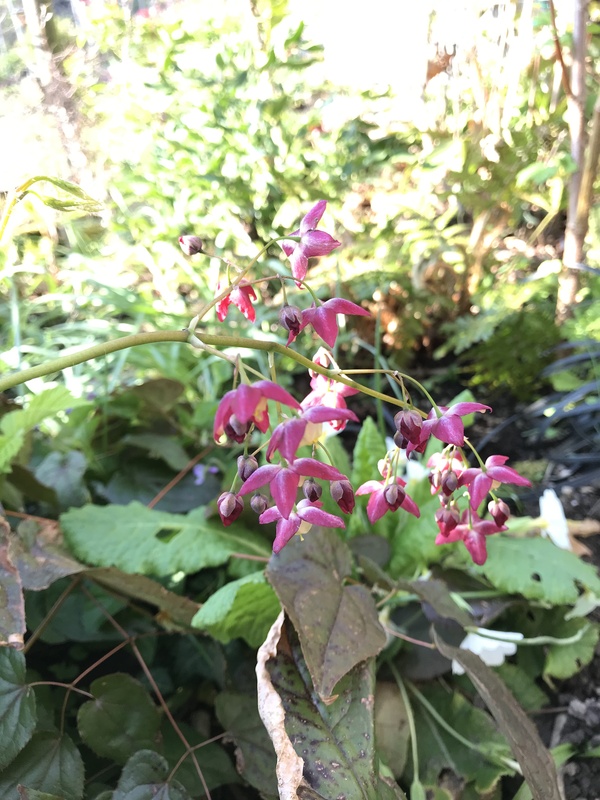 Epimedium rubrum emerges with flowers and new foliage at the same time. 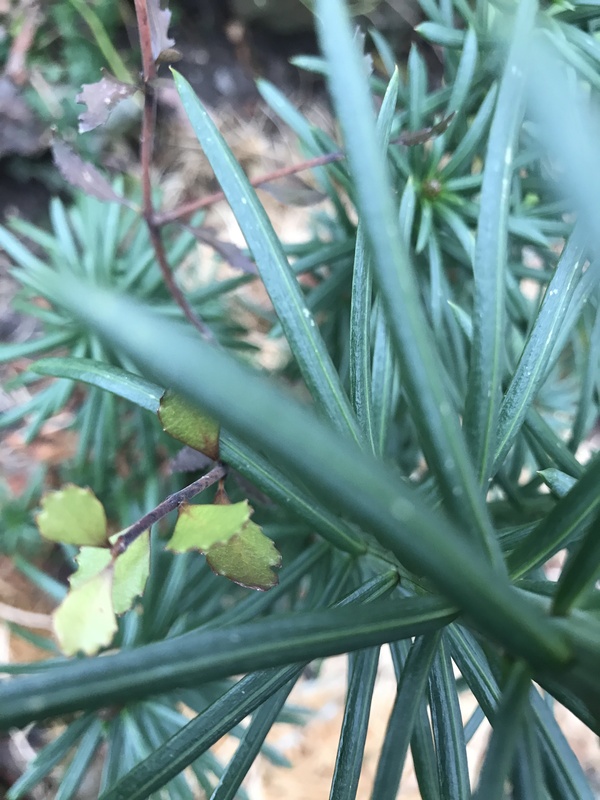 Also newly acquired: Grevillea juniperina ‚Prostate Red‘. Lots of buds, here’s the most mature of them. 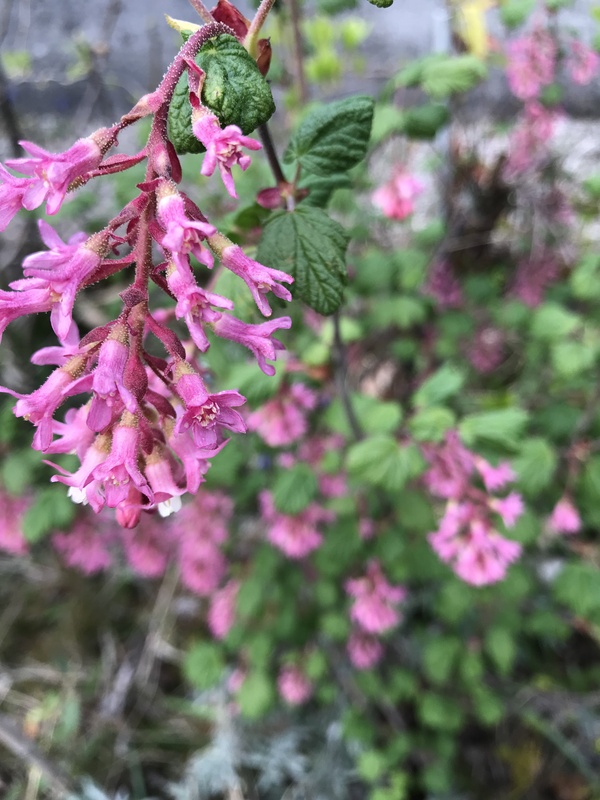 Ribes malvaceum looking really great this year. The foliage is scented, musky! 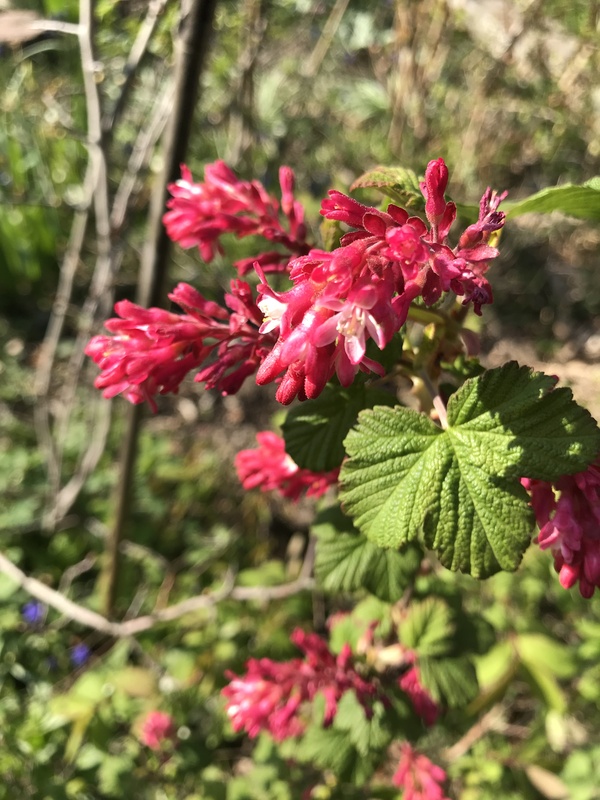 The blooms of Ribes sanguineum have a stronger color than R. malvaceum. I like the latter better, regardless (scent!). 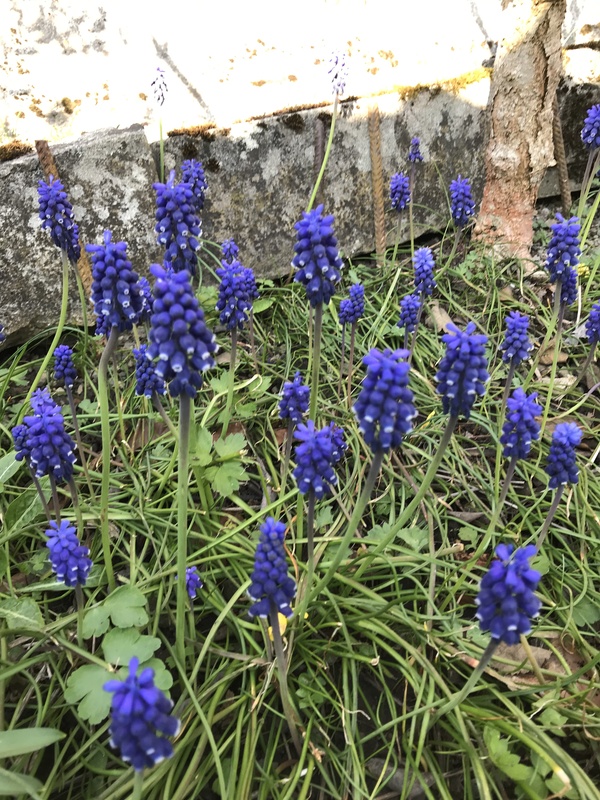 My worst enemy of all the garden weeds: Muscari neglectum, Grape hyacinth. The grass-like foliage looks so ugly and it’s so hard to get rid of. 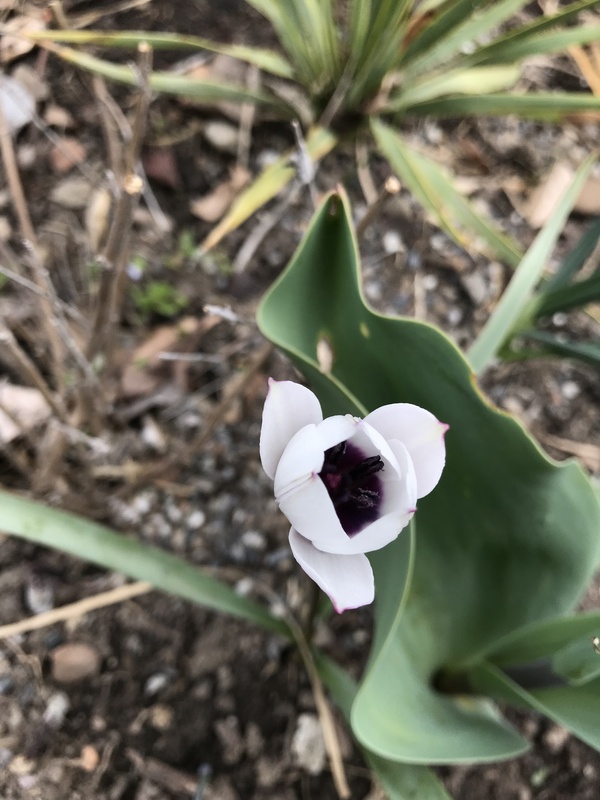 A wild tulip, which I planted: Tulipa humilis var. pulchella ‚Alba Caerulea Oculata‘. 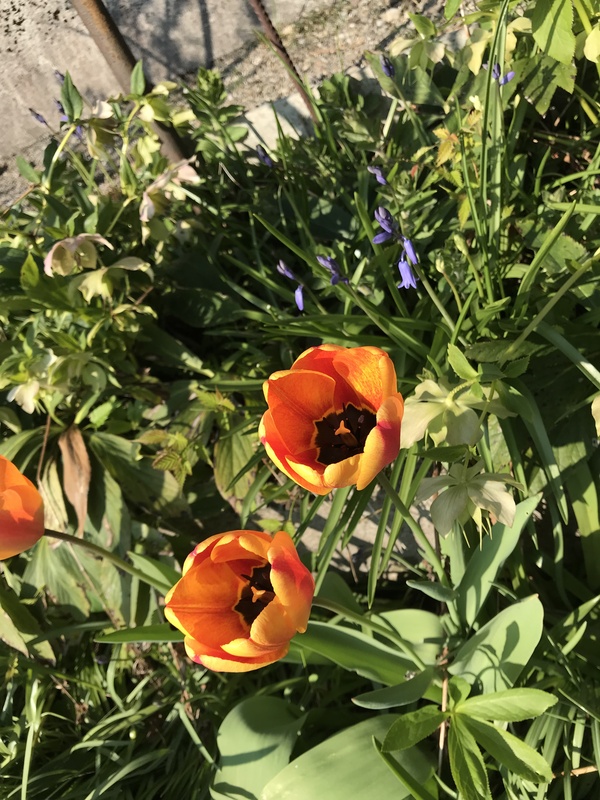 Weedy tulips, which I inherited with the garden. And some Bluebells and Hellebores behind. 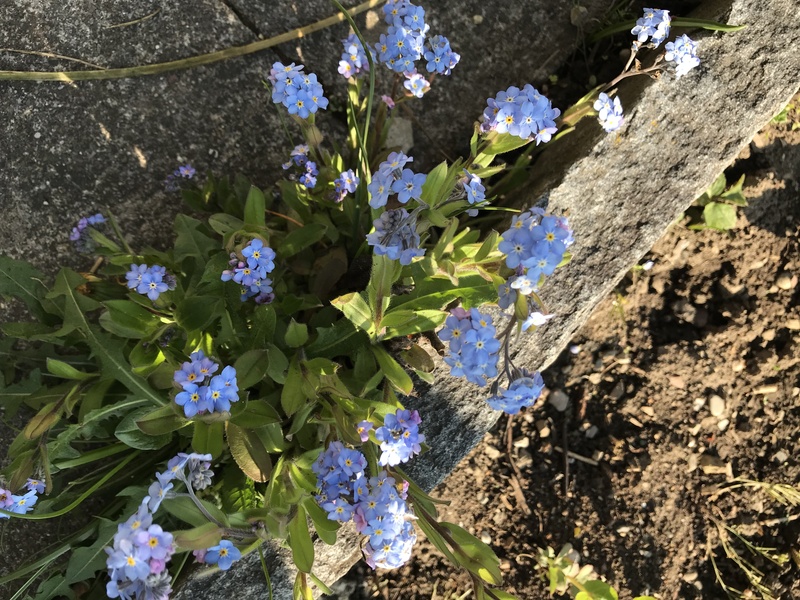 Myositis, Forget-me-not, to end this post. Spring is on its way! Finally there are some blooms in the garden again, after the very meager winter months. With the meme „Garden Bloggers‘ Bloom Day“ (GBBD) we’re showcasing every month the blooms of our gardens. GBBD is hosted by May Dreams Gardens. Go over there and check out the other participants‘ blooming spectacles. 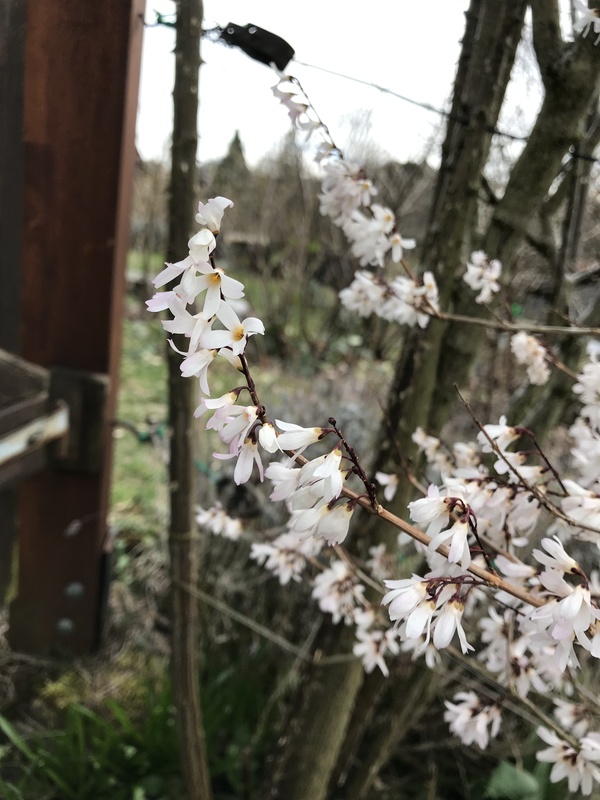 Abeliophyllum distichum, or Snow Forsythia, has opened its blooms. 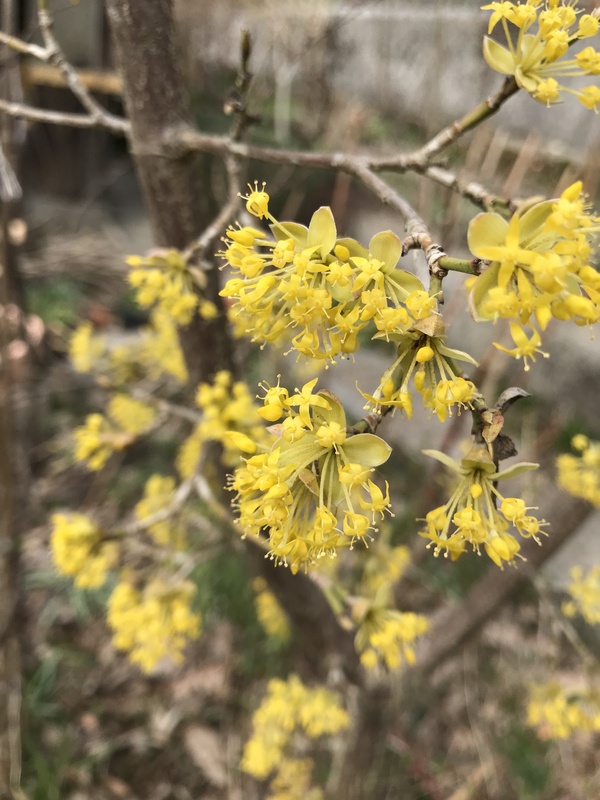 It doesn’t flower much earlier than the „common“ Forsythia, but has definitely its own charm. It emits a nice, spicy scent. Cornus mas ‚Kazanlak‘ cheers up the gloomy days. 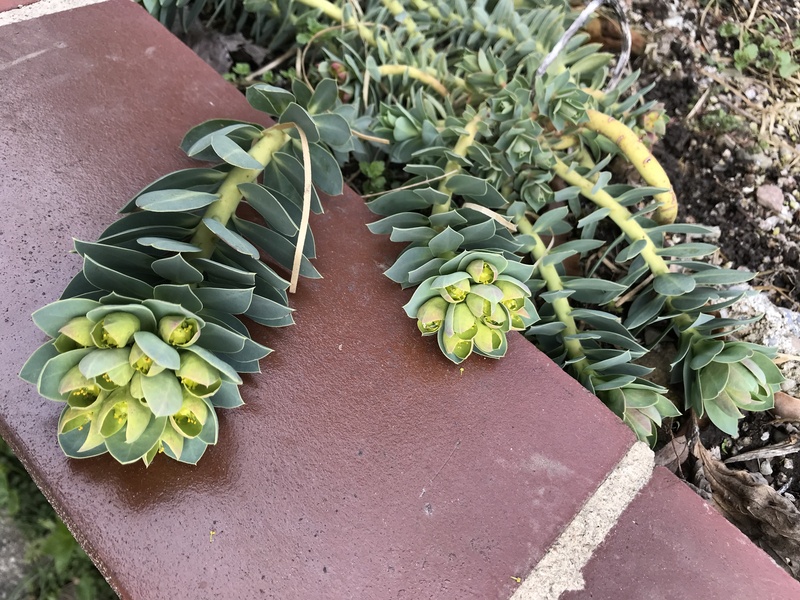 Euphorbia myrsinites is just starting to bloom. 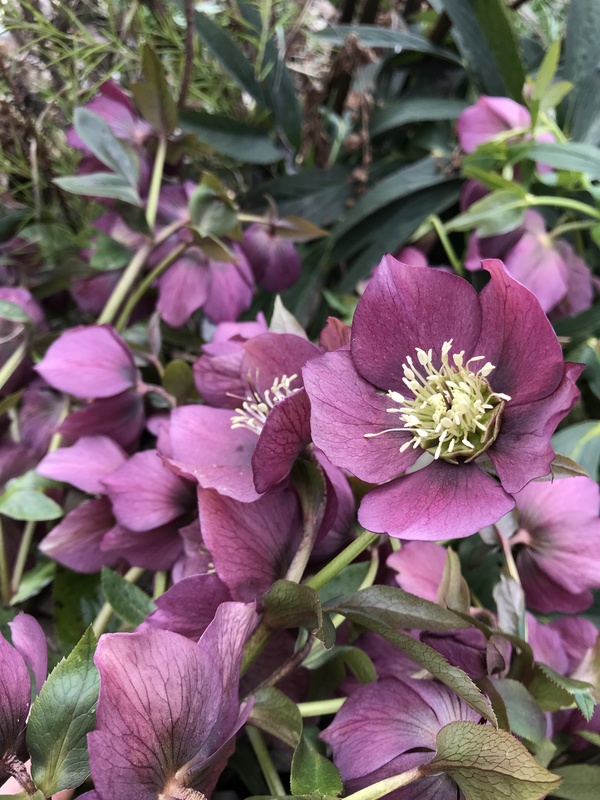 The Helleborus are weedy in my garden and they don’t bloom early enough for my liking. And not all of them have such a nice, strong color (many are greenish). 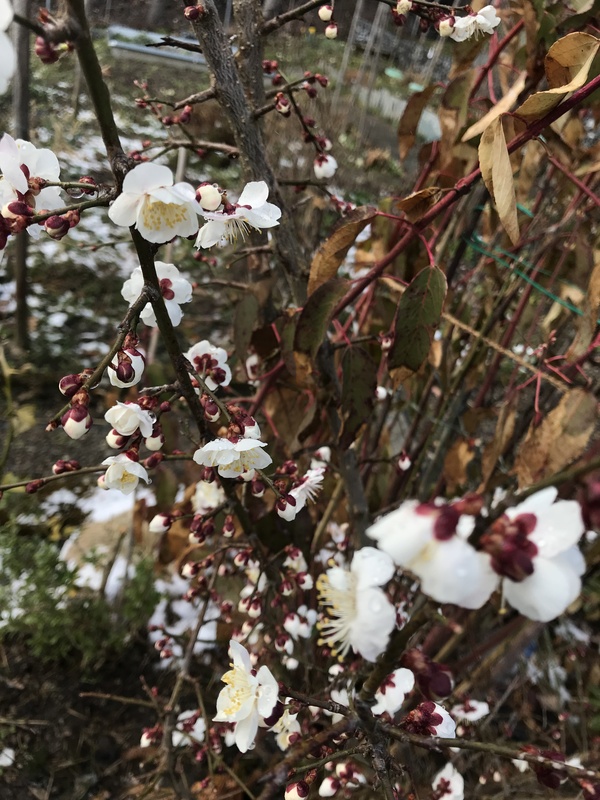 I’m swooning over my Prunus mume tree at the moment. I got it as a little seedling and this year it’s blooming for the first time for real. It’s got a lovely scent and is so pretty! 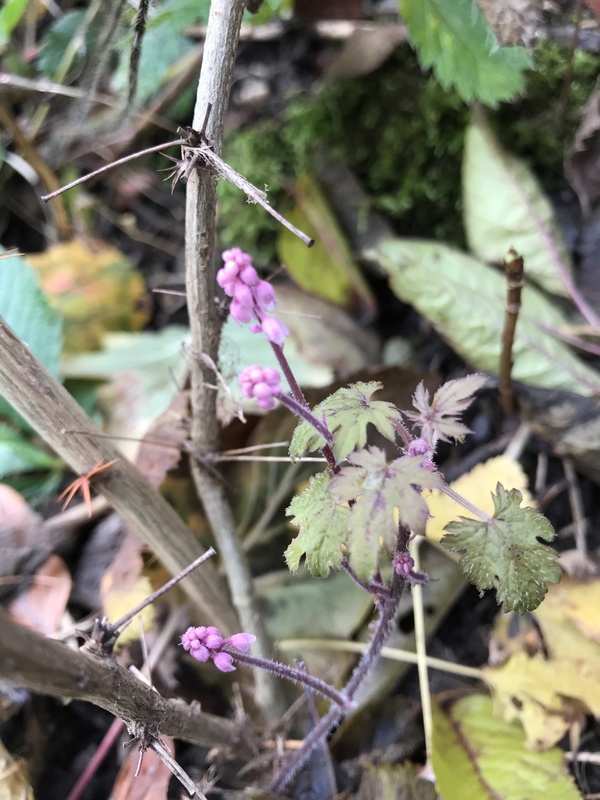 Ribes malvaceum is not quite there, yet. 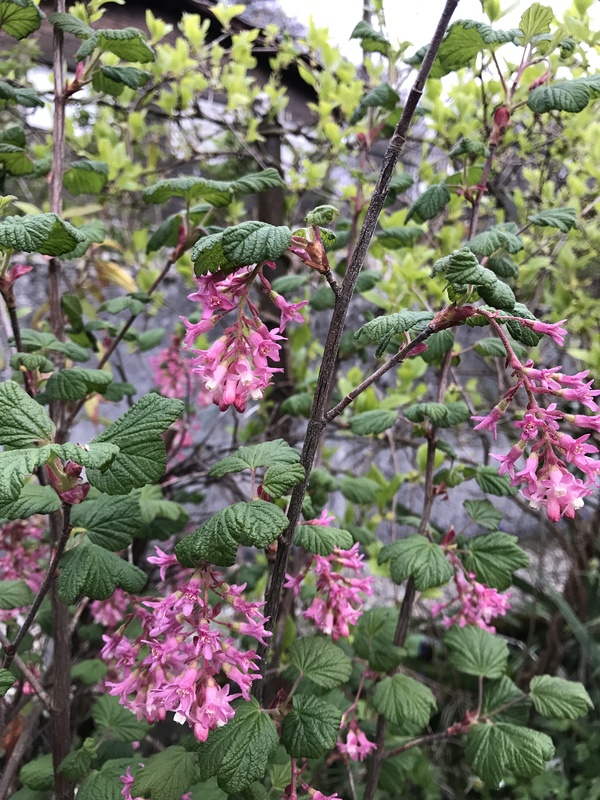 It’s my favorite Ribes, due to the musky, fragrant foliage. 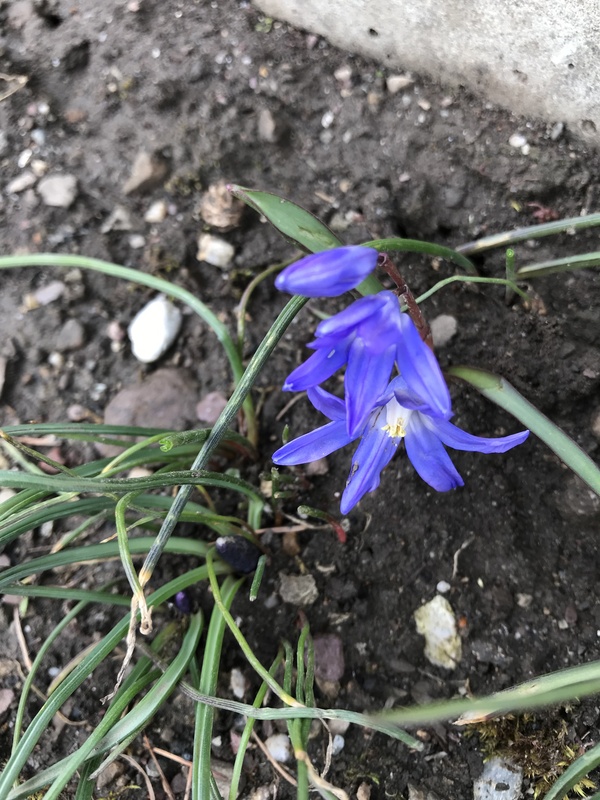 Tiny Chionodoxa luciliae (or Scilla bifolia?) creating a dot of color. 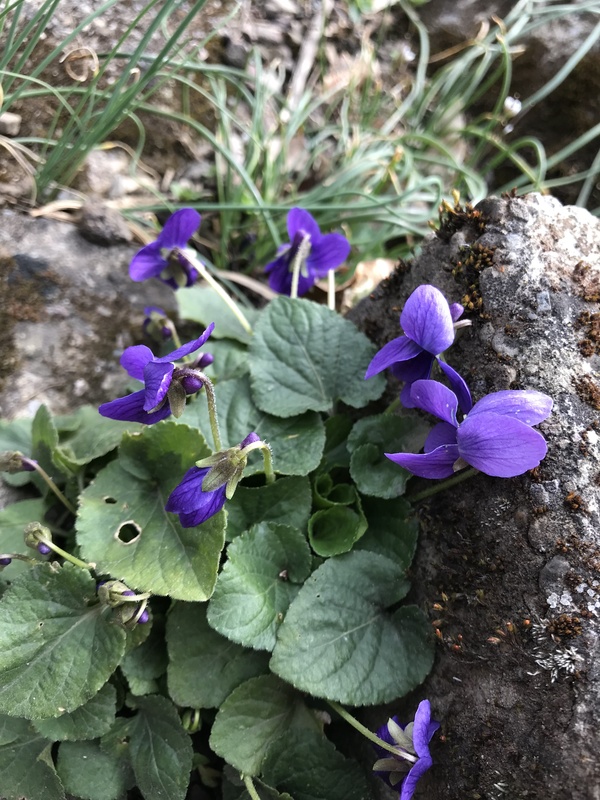 The Violets are looking nice. That’s it for this month. 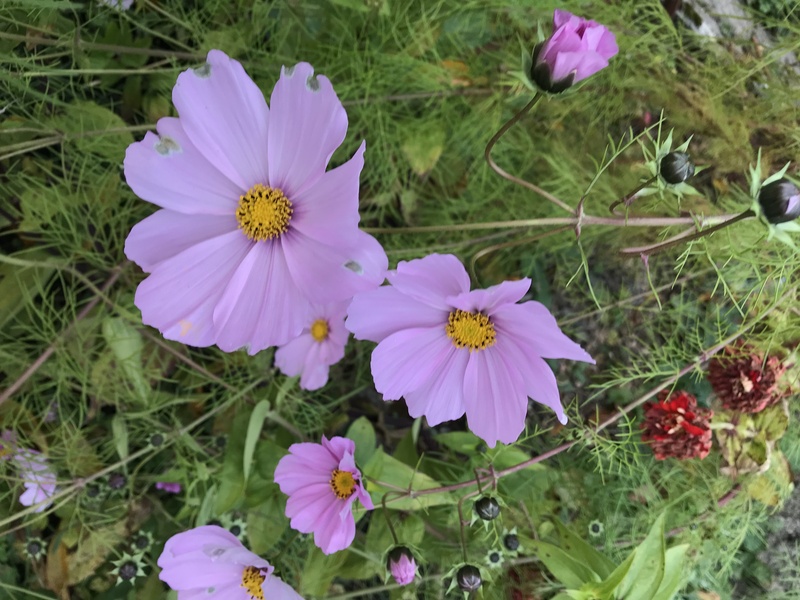 What’s flowering in your garden? 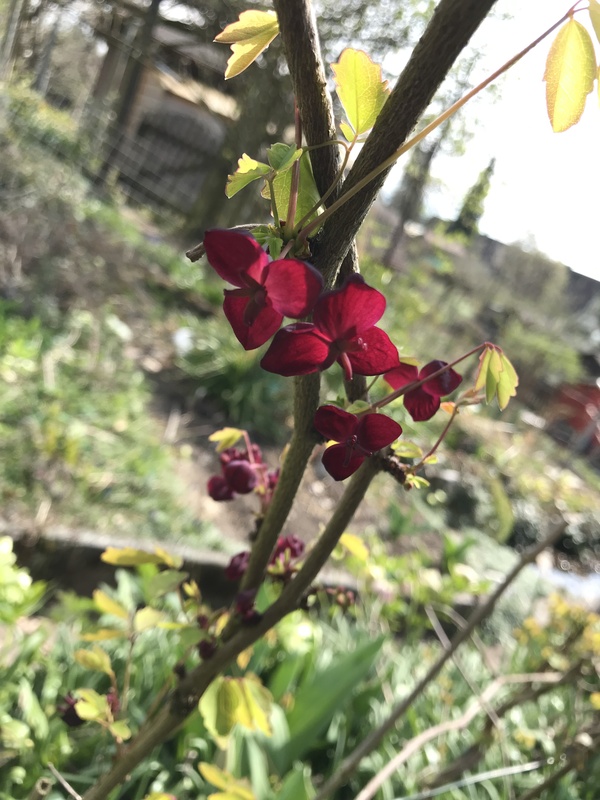 Join the GBBD meme and share your blooms! We’re having very pleasant weather which seems to be staying for a while. With a bit of luck this means that winter’s over. It would be the mildest winter since maybe four years! I’m keeping my fingers crossed. Garden Bloggers‘ Bloom Day is hosted by May Dreams Garden. Check the posts of the other participants out! 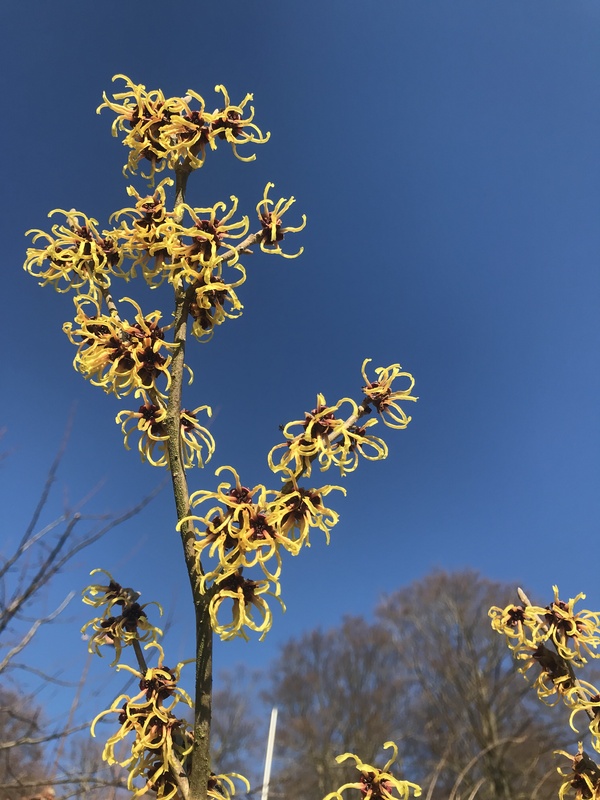 The Hamamelis (I’m guessing ‚Arnold Promise‘) is now in full bloom. Sadly, it hasn’t a scent. 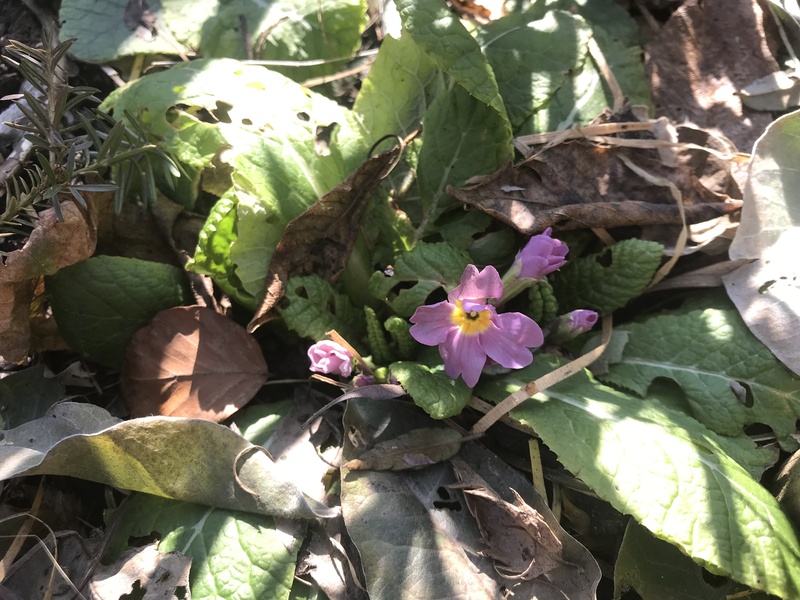 The Primulas are looking a bit better now that the weather has warmed. 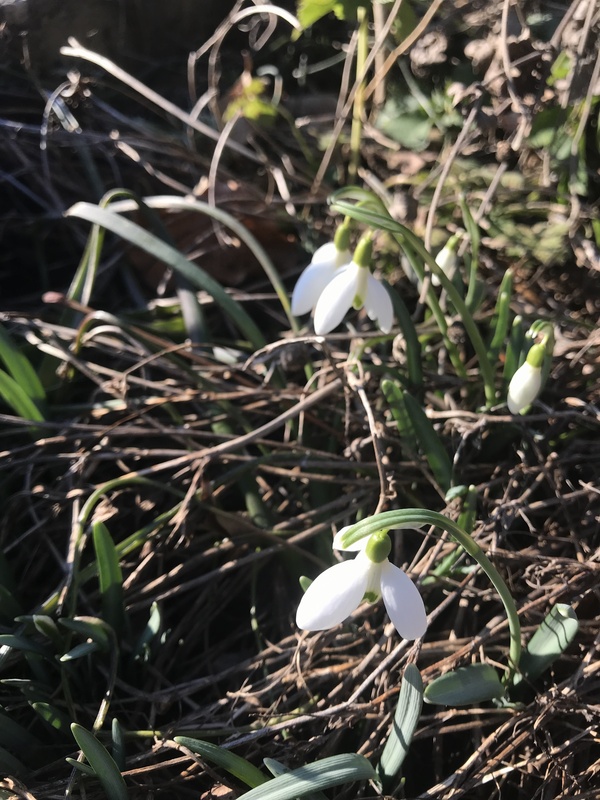 THe snowdrops are starting their thing. Yay! 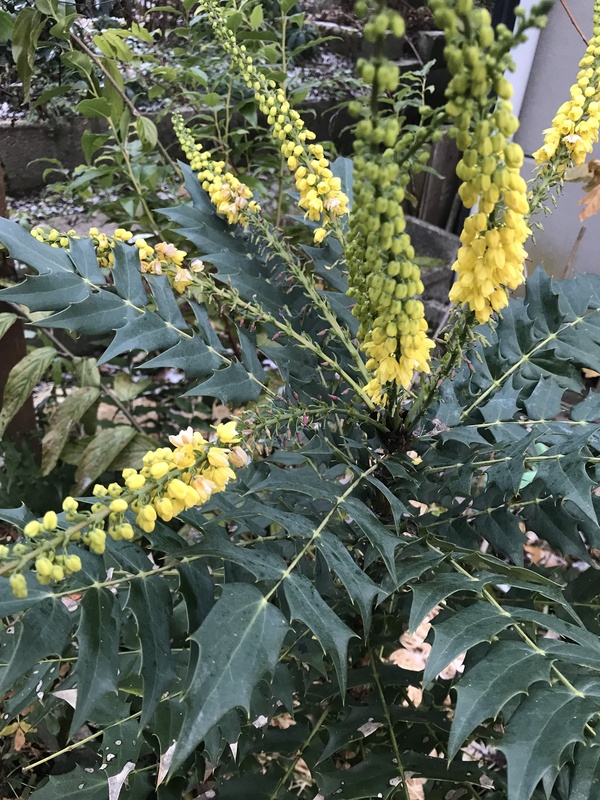 Honorable mentions are Sweet Box and Mahonia ‚Winter Sun‘ which are still flowering. 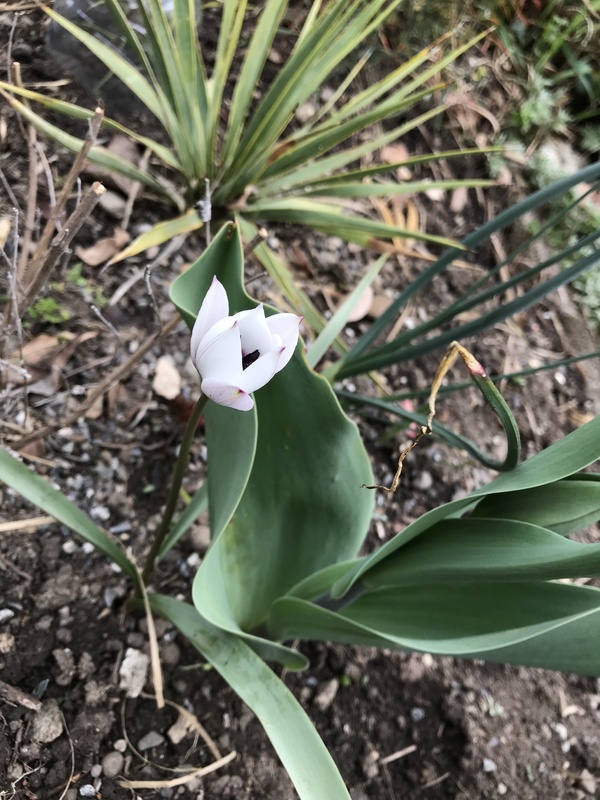 First Bloom Day of the year – and there aren’t many blooms to show. 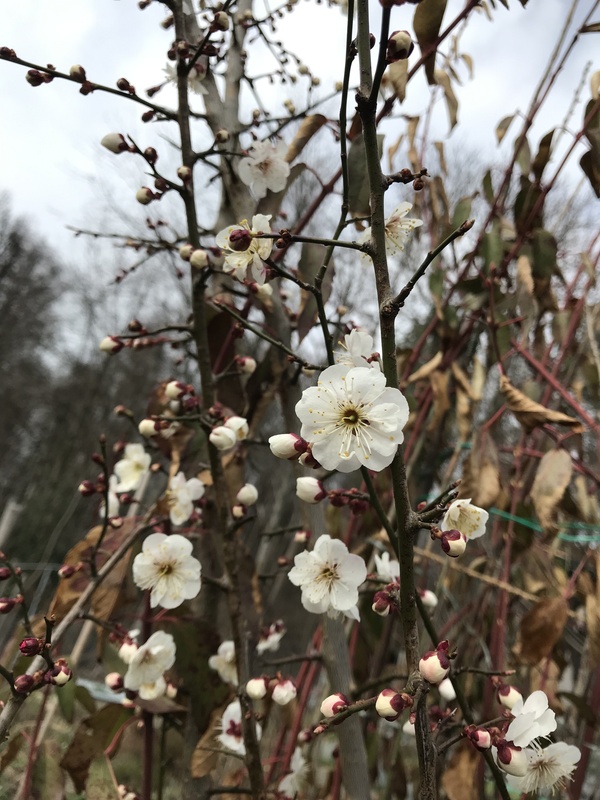 Winter here in Central Europe so far has been mild but too cold for many of the winter bloomers in my garden. I probably have to get more plants that bloom reliably in this season. 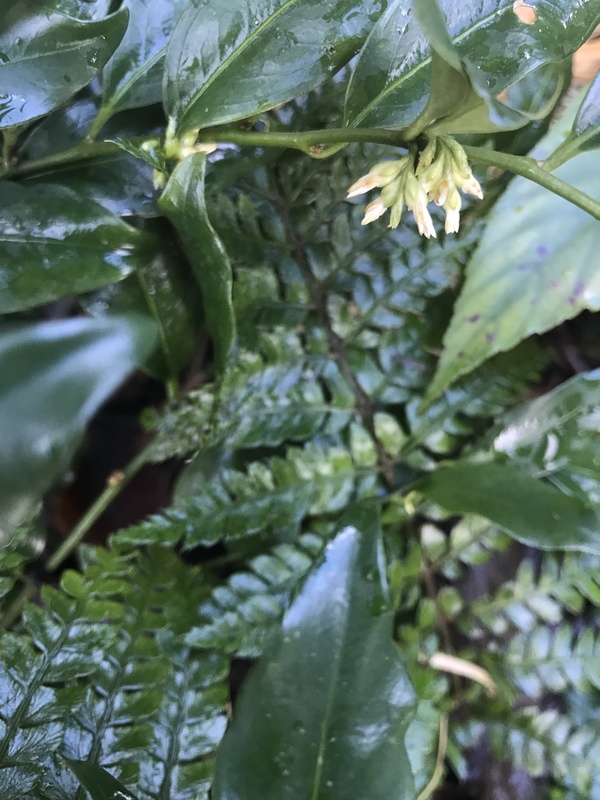 Sarcococca confusa seems to be starting to bloom. I don’t smell anything yet, so I’m not sure if the blooms are open. 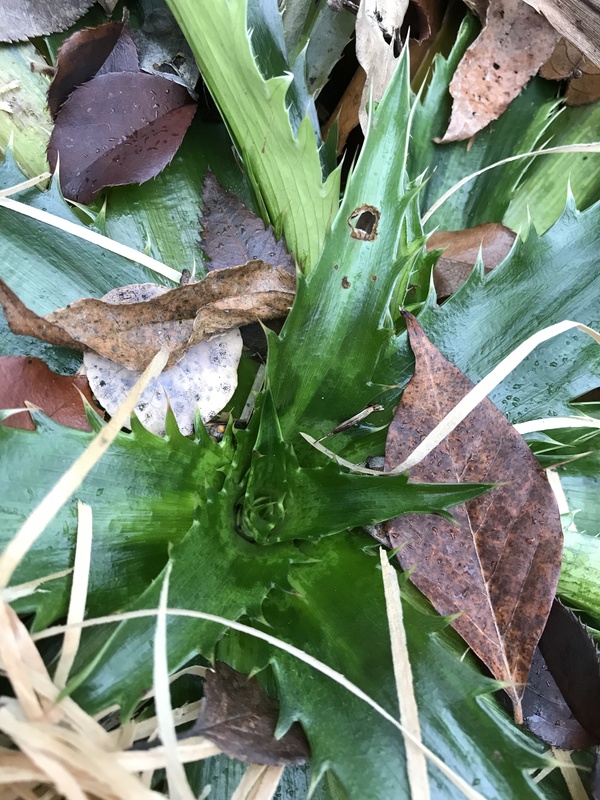 Sarcococca confusa and the fern Polystichum polyblepharum make an elegant combination in the shade garden. There was heavy snow just a couple of days before. 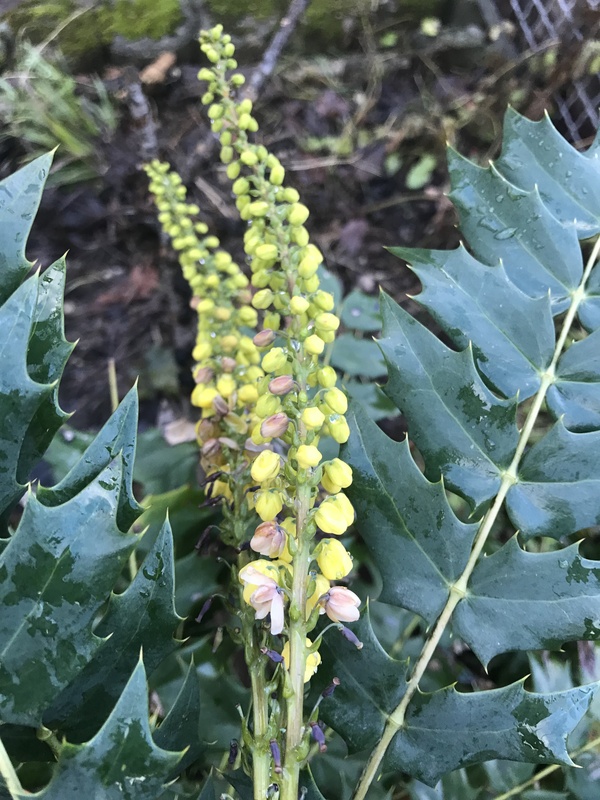 It has melted, but it left flattened blooms on Mahonia media ‚Winter Sun‘ behind. 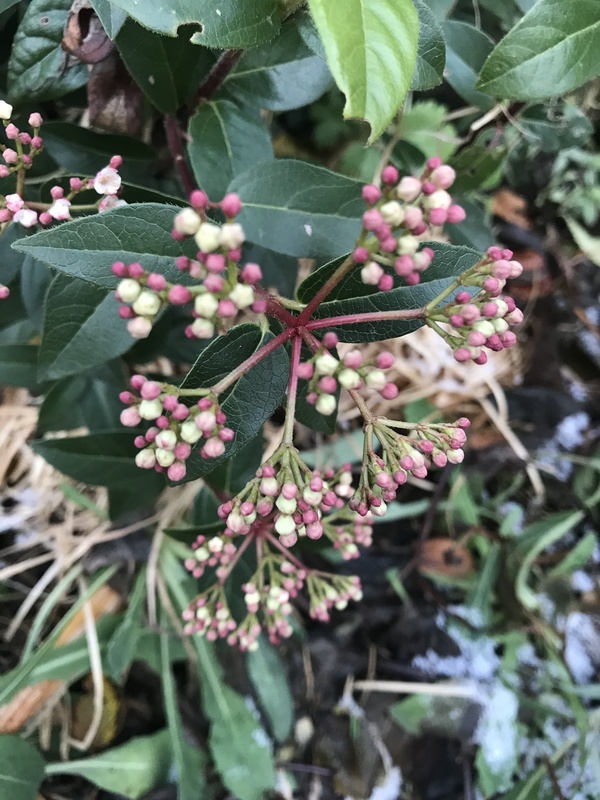 Viburnum tinus is my favorite „common“ garden plant. 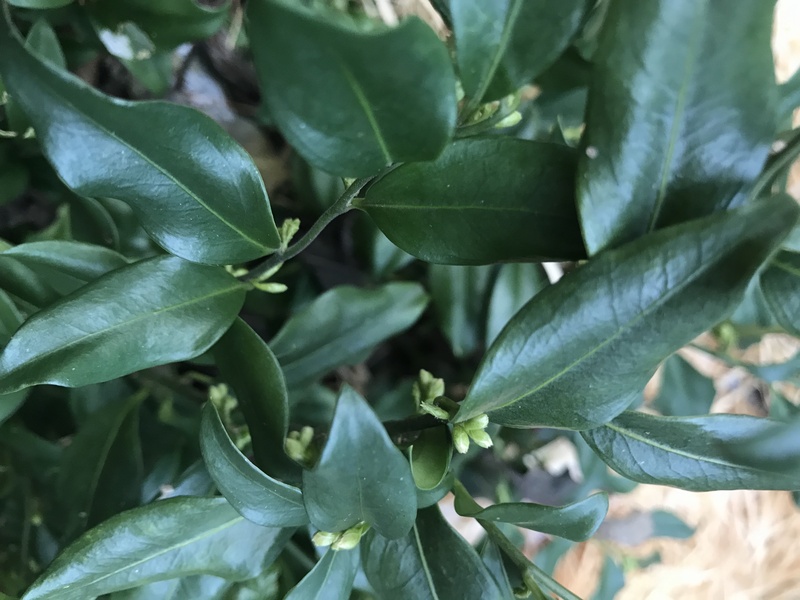 It provides great winter interest with its superb evergreen foliage and the scented winter blooms. 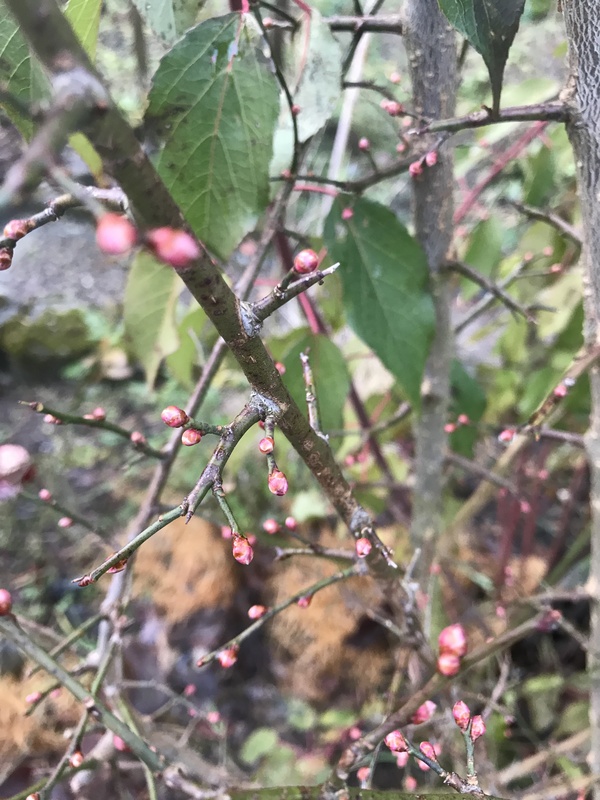 There are only buds on Prunus mume, but I’m already excited for the show in spring! 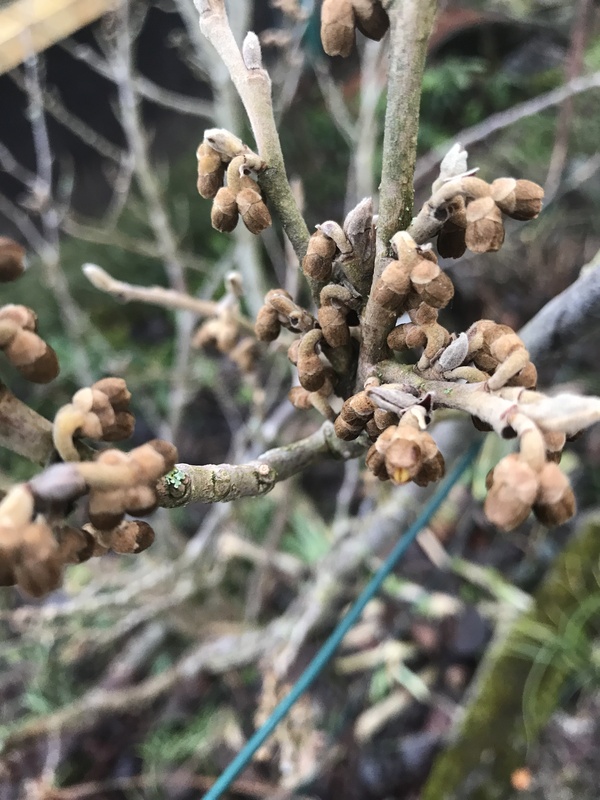 My noid Hamamelis hasn’t opened the flower buds either, there is a tiny bit of yellow showing on there, though. Garden Bloggers‘ Bloom Day is hosted by May Dreams Gardens. 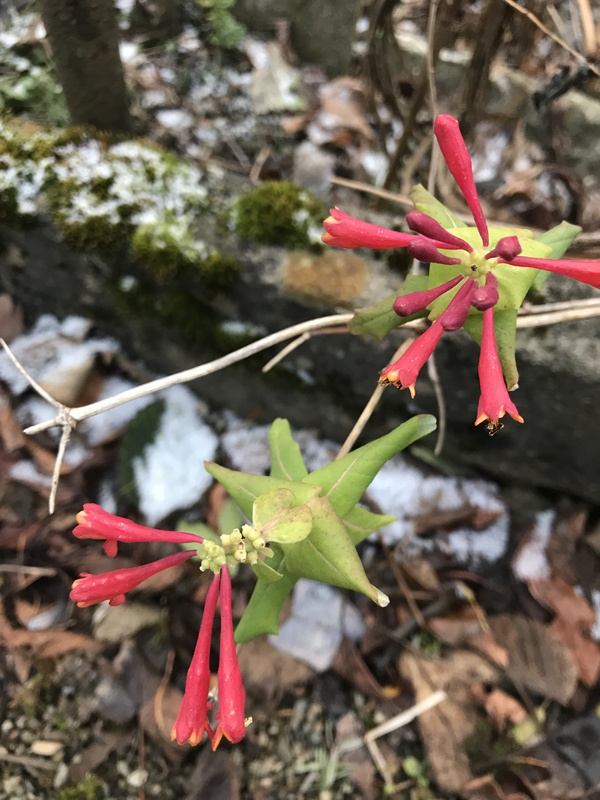 Agarista populifolia is a really exotic looking shrub (from Florida!) 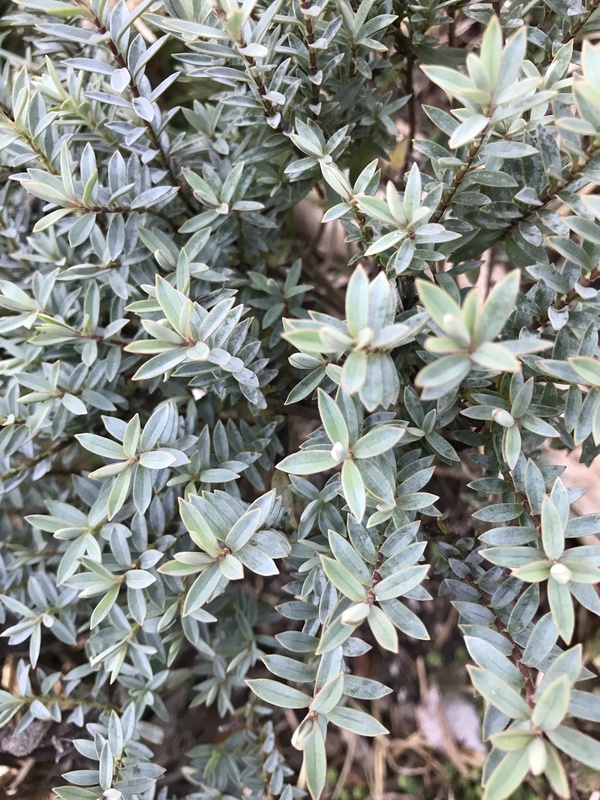 with its ficus-like, evergreen foliage, which shines especially in winter. 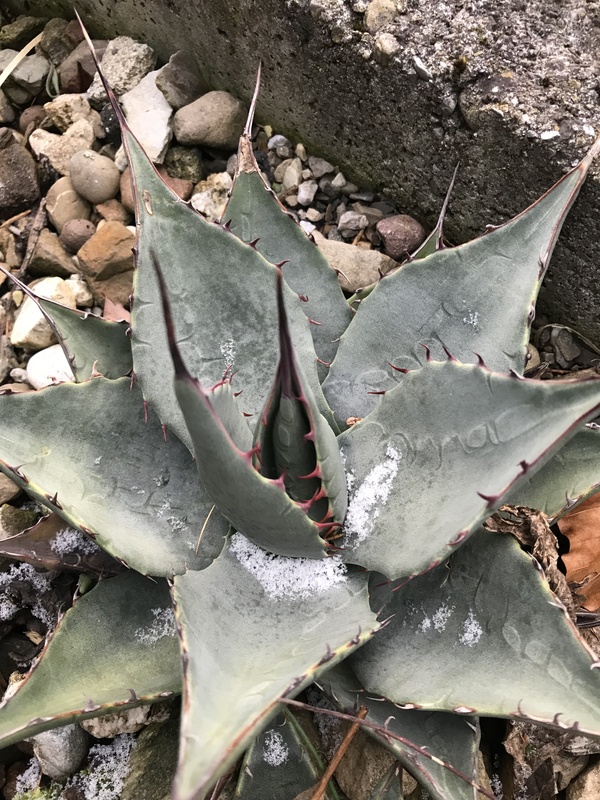 Agave neomexicana ‚Sacramento‘ with a spoonful of snow. Easy to grow with good drainage. 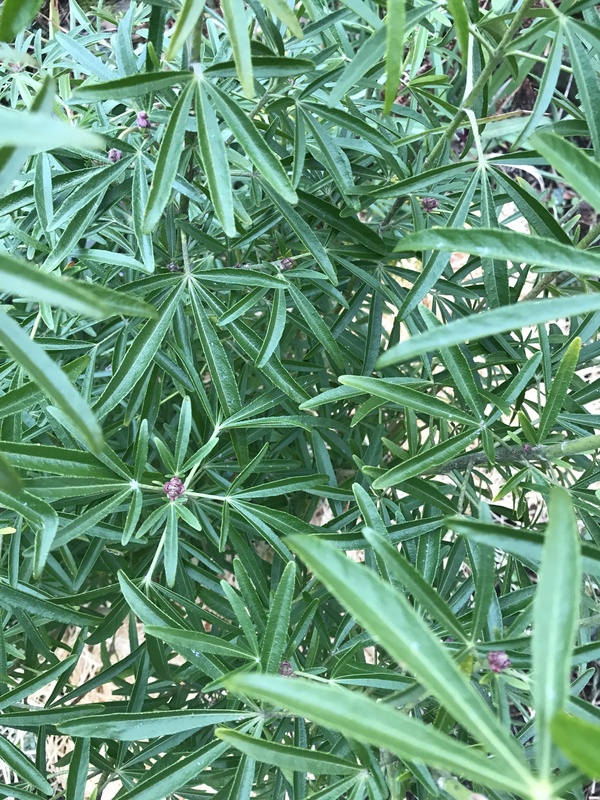 Doesn‘t look like much right now, but it‘s quite a special plant: a young, gangly Aristotelia fruticosa, grown from seed, between Cephalotaxus harringtonia ‚Fastigiata‘. 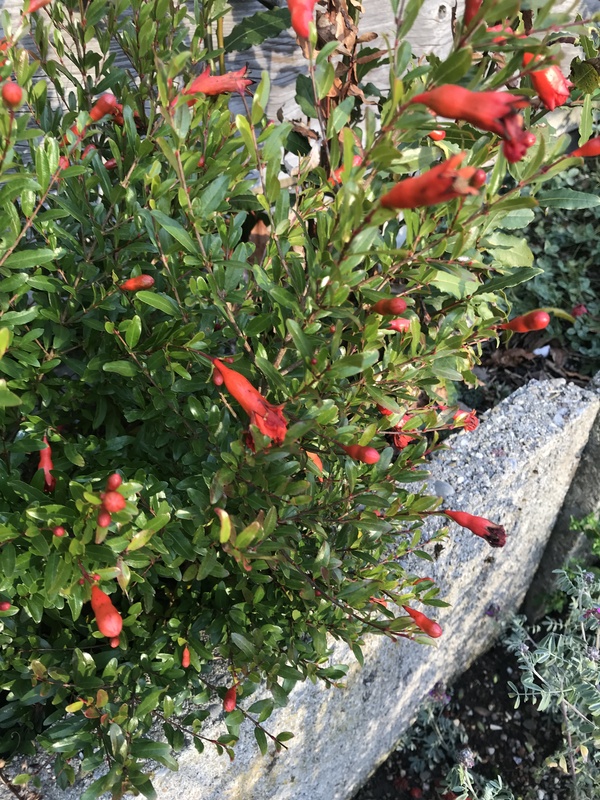 It‘s a divaricating shrub, a typical habit of New Zealand plants, from mountainous regions, so hopefully it proves winter hardy in my climate. 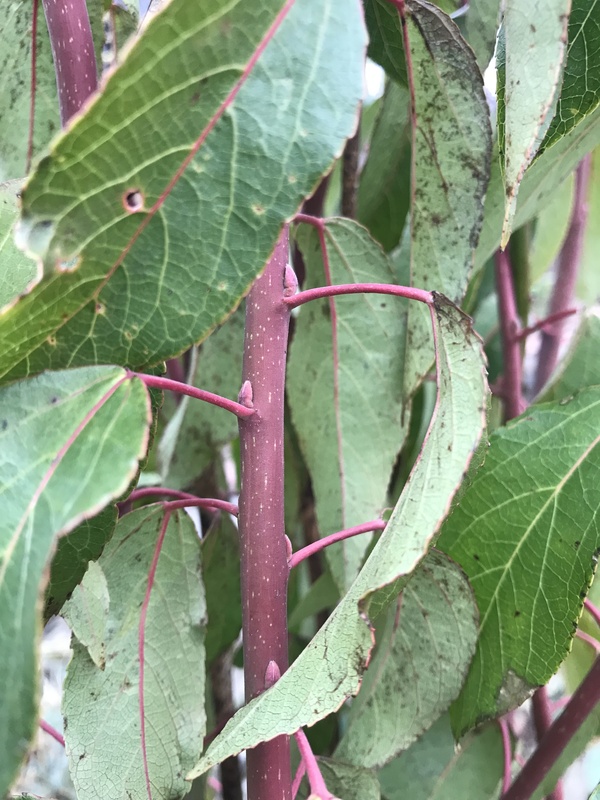 The species is really polymorphic: brown, dead-looking foliage to green and lush, deeply lobed to rounded leaf. A. fruticosa is a cousin to the bigger Aristotelia chilensis from, you guessed it, Chile. This Genus shows a clear Gondwanan range: From Chile to Australia, Tasmania and New Zealand. 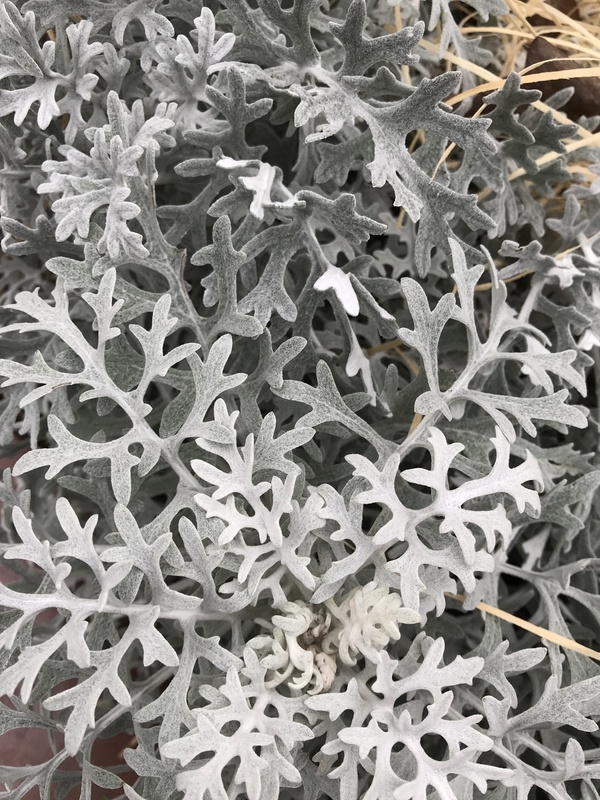 A. chilensis freezes most winters to the ground, but is quite hardy. 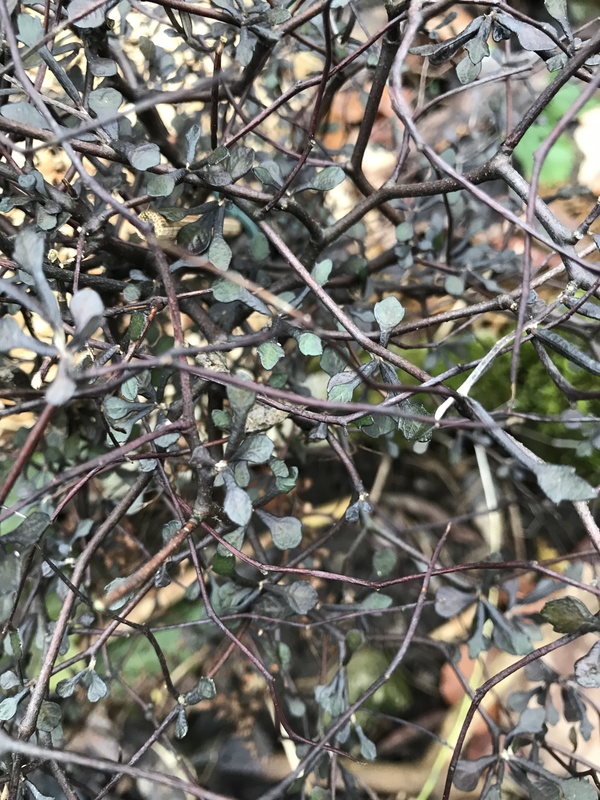 I love the foliage of Ceanothus gloriosus x masonii ‚Blue Jeans‘. Hardy and easy. 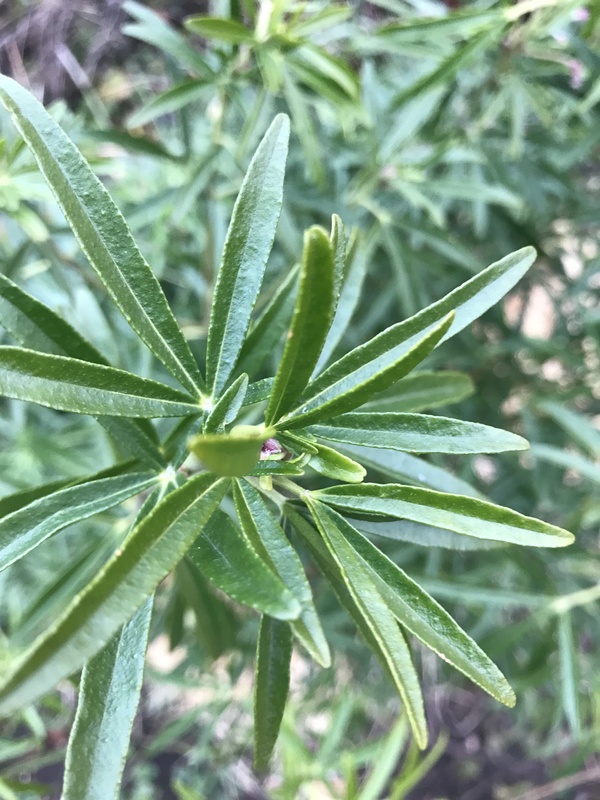 Choisya ‚Aztec Pearl‘ looks always good, year-round. It’s really easy to propagate, so don’t buy it at a store and just ask a friend for a cutting. Cornus kousa x capitata ‚Norman Hadden‘ is almost semi-evergreen. The few leaves that are left look great right now. 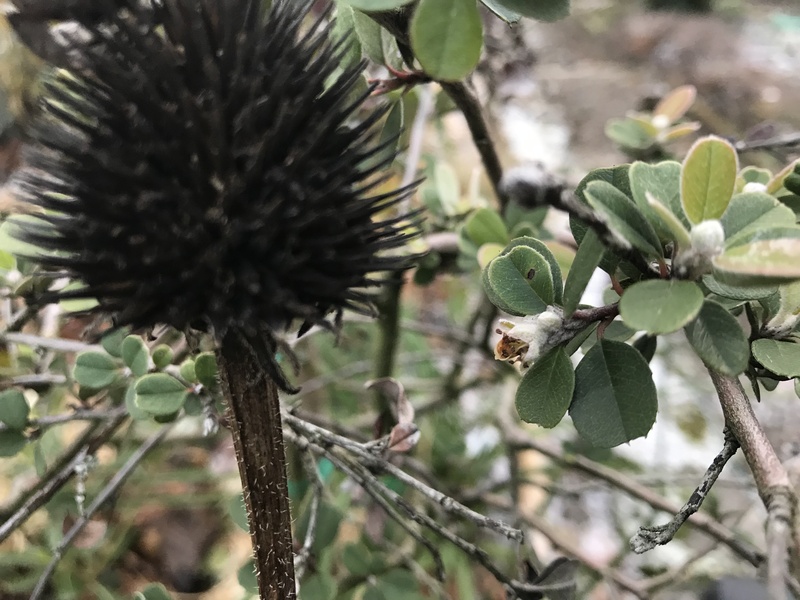 Corokia cotoneaster, another divaricating New Zealand native. Does well in shade for me. It is somewhat semi-evergreen after hard frosts. 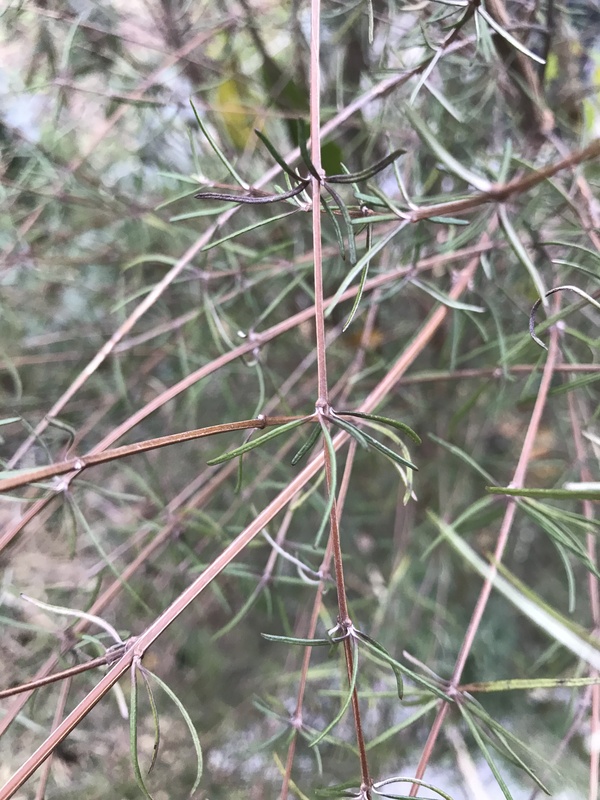 Straight foliage on Cytisus scoparius ‚Apricot Gem‘. Elaeagnus umbellata v. rotundifolia still has some leaves. I do love Hebes. One of my favorite is Hebe ochracea, a so-called whipcord hebe. Great combination with Lavender. 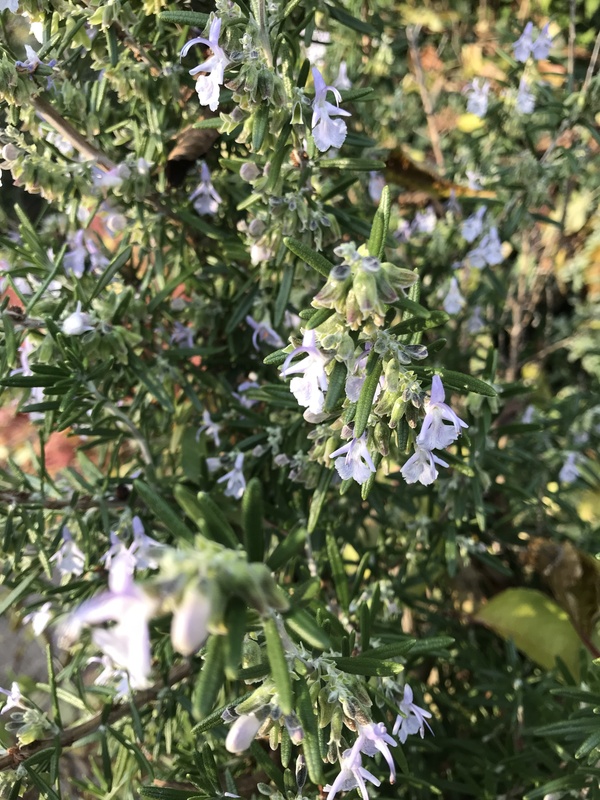 Hebe ‚Theo‘ tried to flower before the frosts struck. 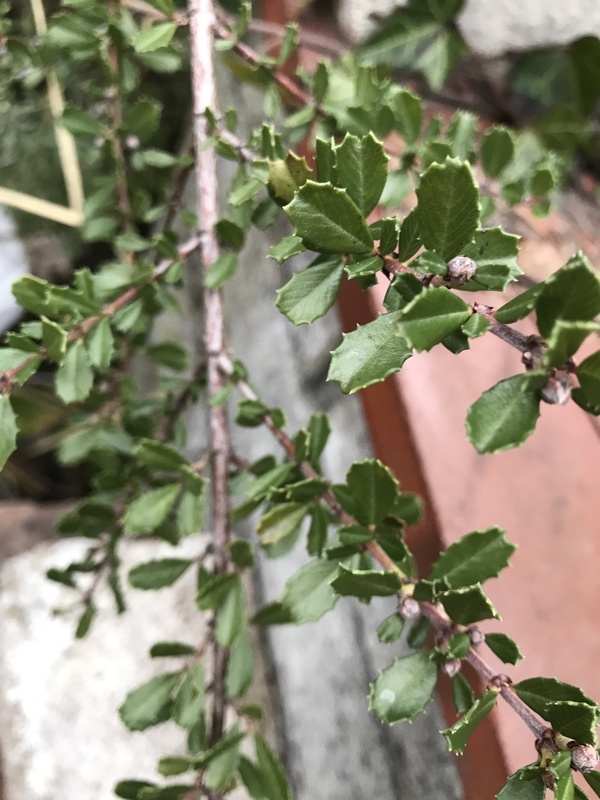 Another divaricating plant from New Zealand (there seems to be a pattern, here): Hoheria angustifolia. 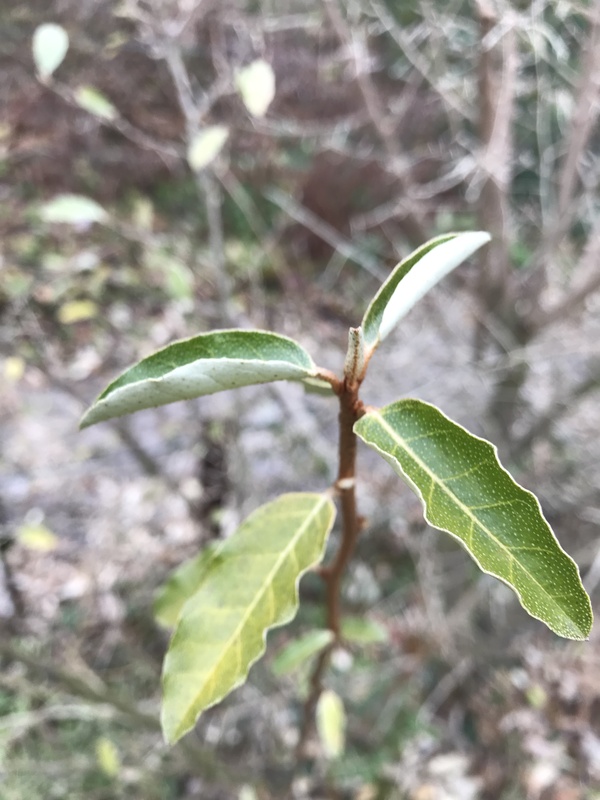 Ilex vomitoria, a Ilex species that can be used like Mate tea. 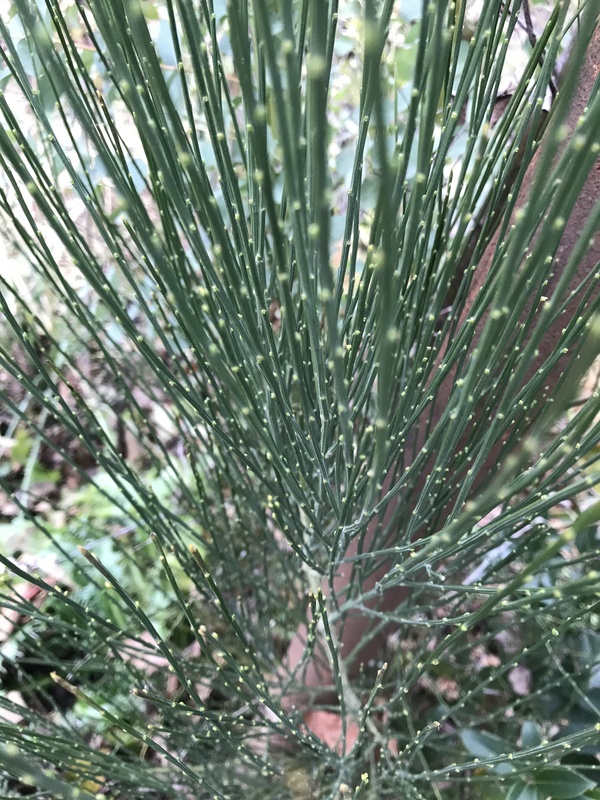 Sparkling, silver foliage: Jacobaea maritima. 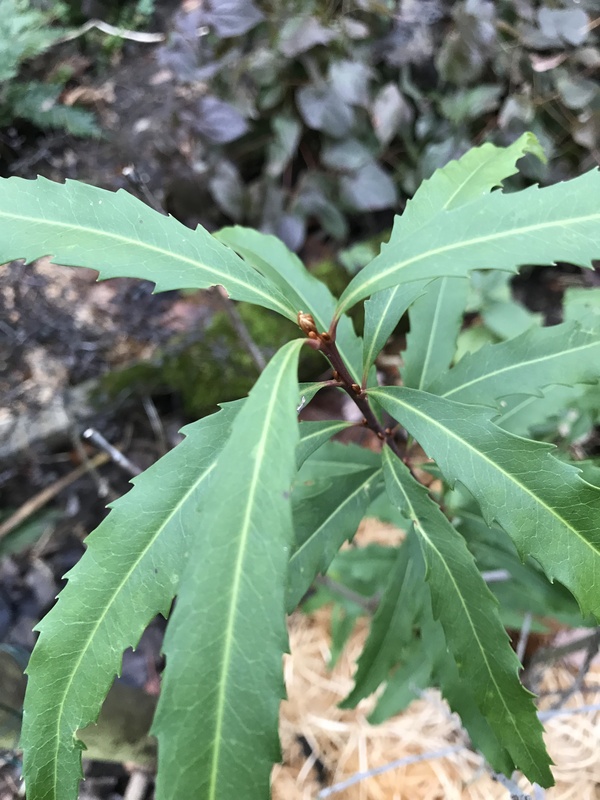 Lomatia fraseri isn’t hardy enought for me, it grew back this year from being cut back to the ground. 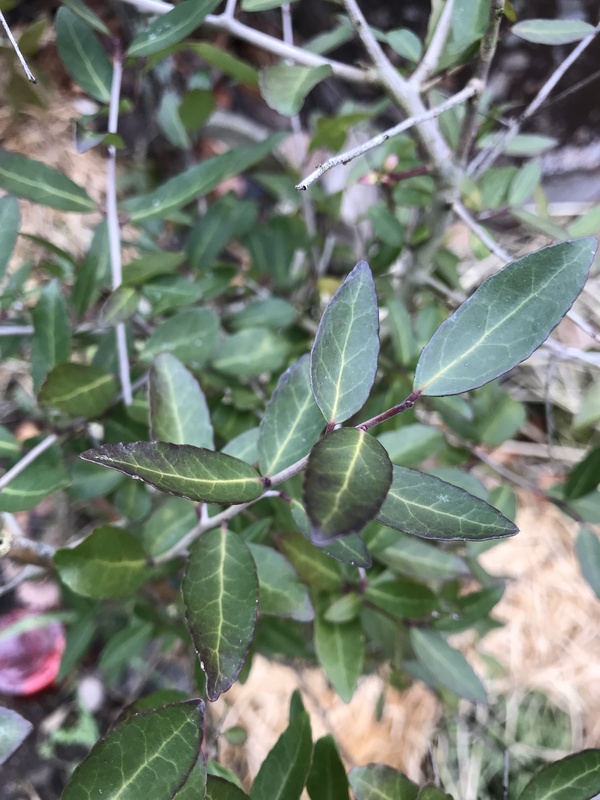 My favorite hardy Olearia: Olearia virgata lineata. It looses its leaves most winter, though. Are you interested in participating in this feature? Leave a comment! After a couple of harder frosts (-3°C/27°F), there aren’t many blooms left in the garden. 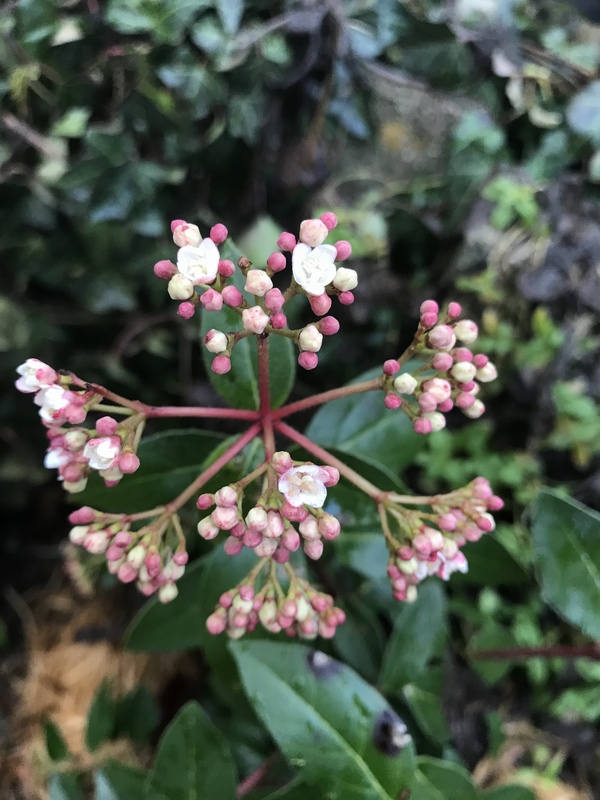 A very nice winterbloomer is Viburnum tinus. 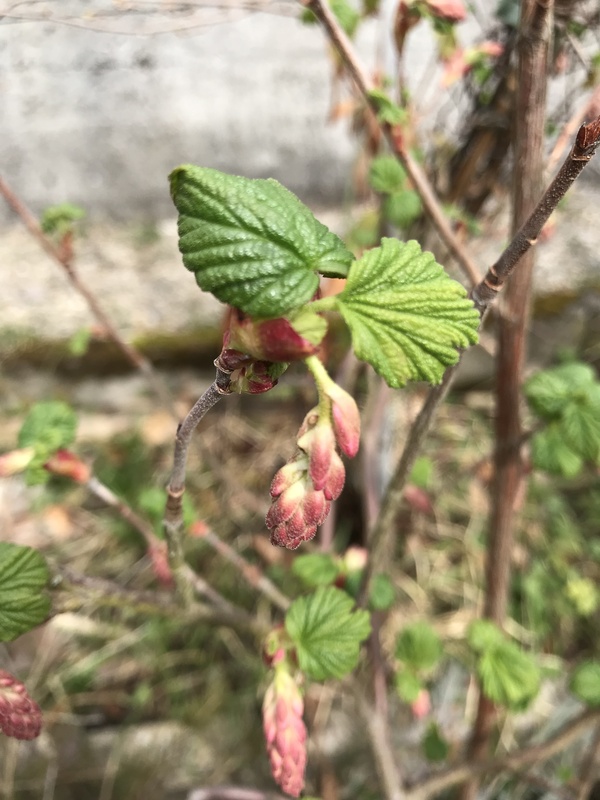 It got lots of buds, and some of them already opened. 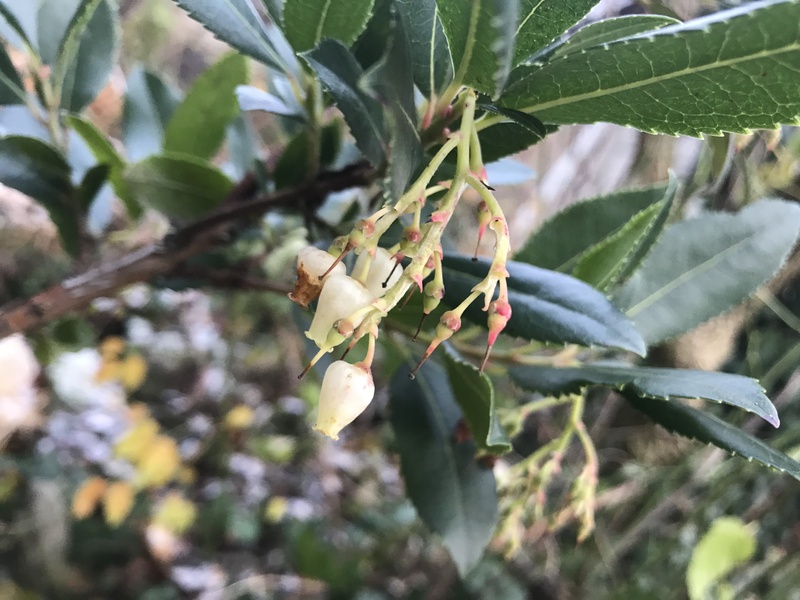 Arbutus unedo ‚Compacta‘ is still blooming away, though the delicious berries are long gone. My only Camellia (I need more!) 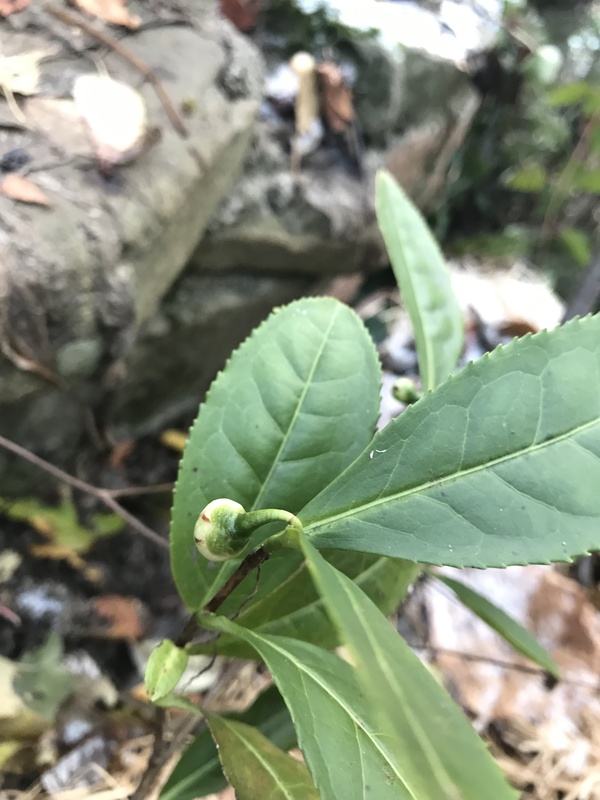 has some buds in preparation, for the first time. 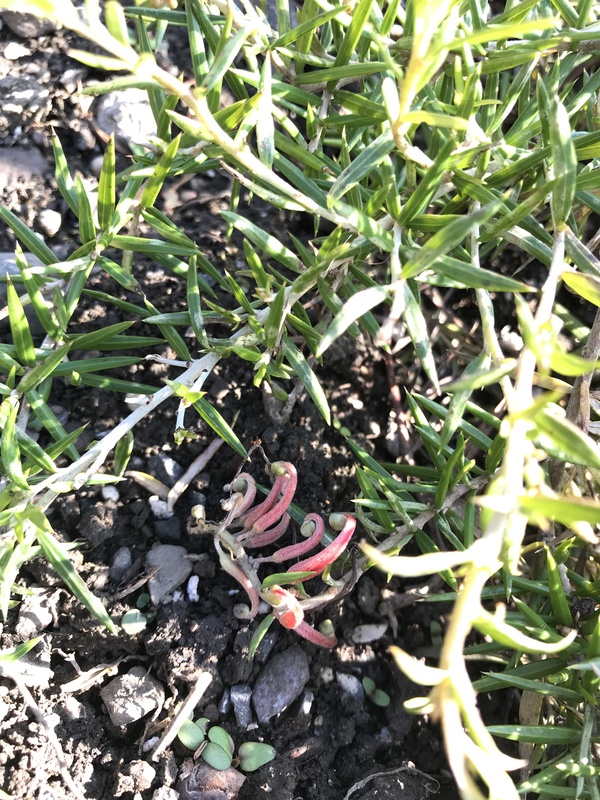 Will it flower this winter or will the cold get to them first? We’ll see. 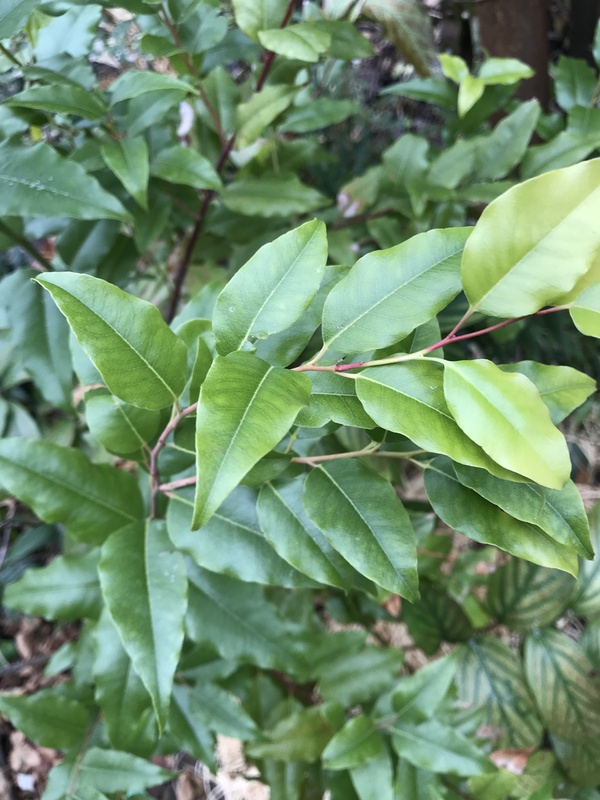 The cultivar: Camellia sinensis ‚Large Leaf Form‘. 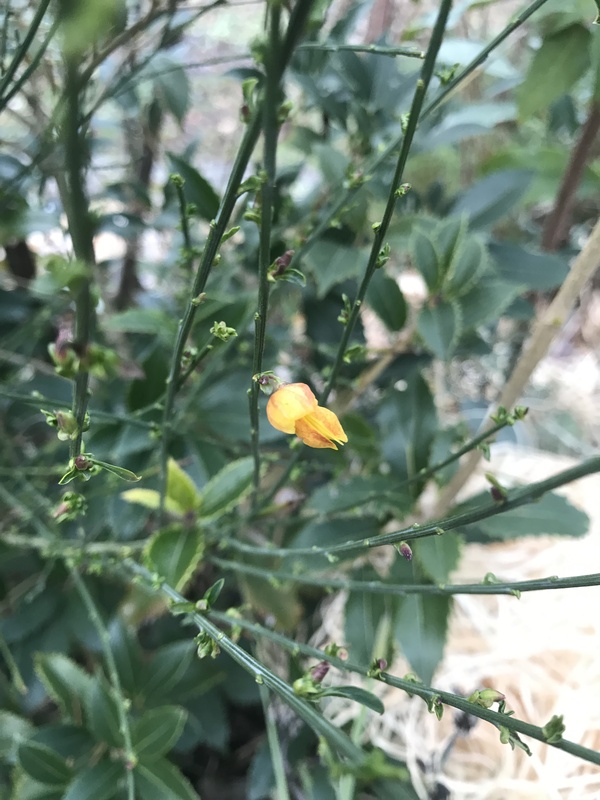 Cytisus scoparius ‚Apricot Gem‘ has a few flowers, which isn’t normal. More blooms are bound to come in spring. 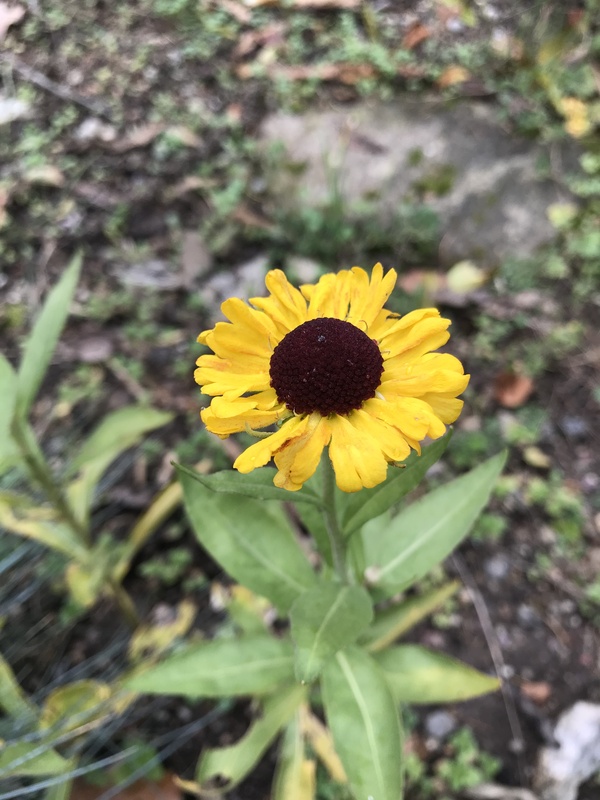 This late planted Helenium ‚Mardi Gras‘ still wants to push on. Not for long probably. 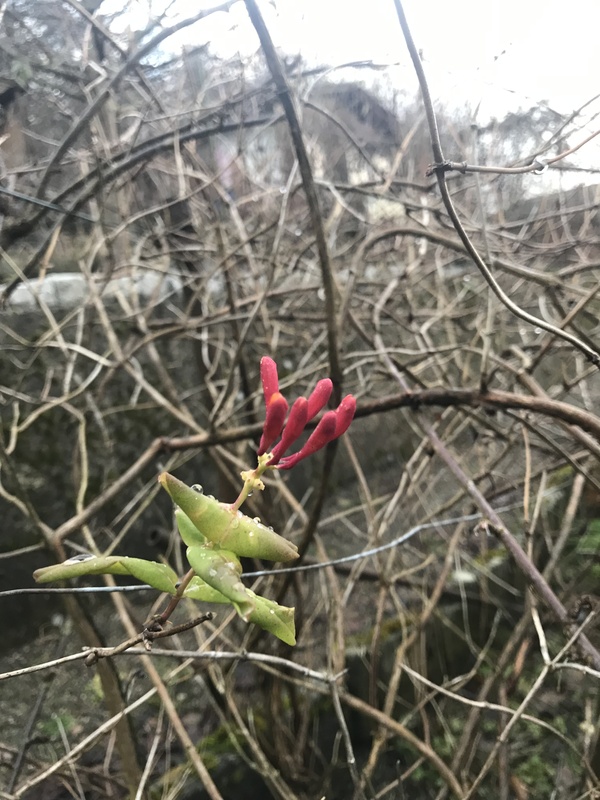 This Lonicera (noid) has a few blooms every winter. I wish there were more on the plant. 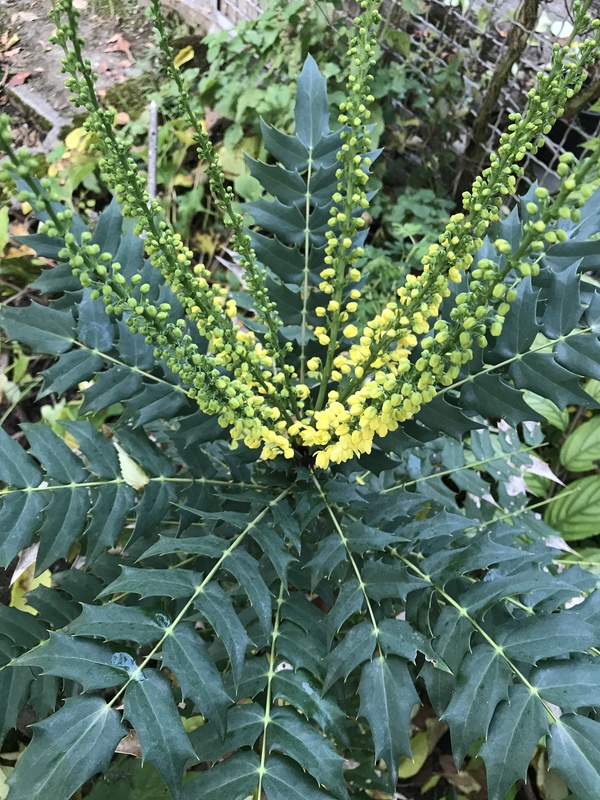 Mahonia media ‚Winter Sun‘ seems to look even better as winter progresses. 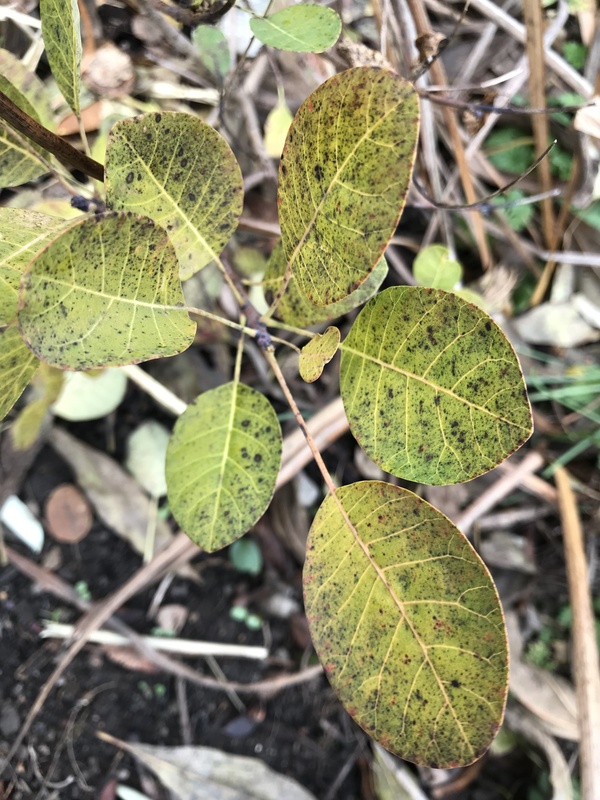 Malacomeles (Amelanchier) denticulata should be grown more. 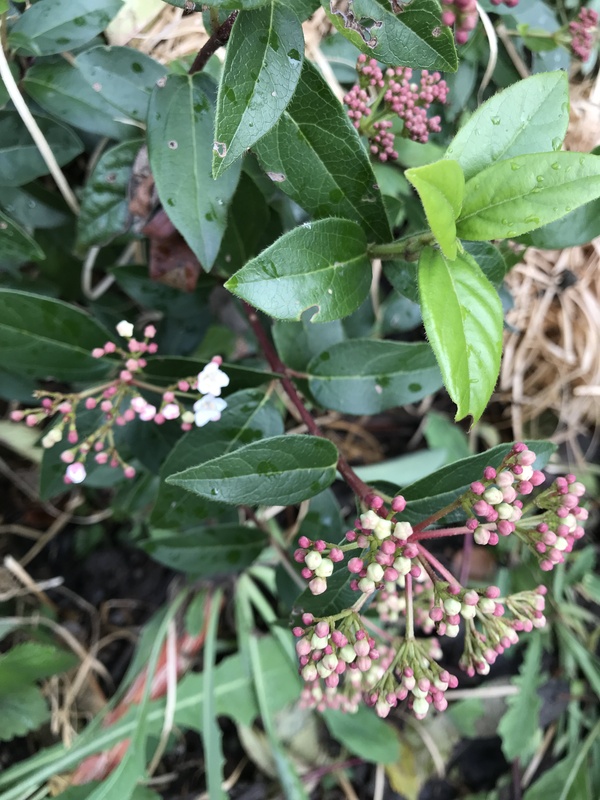 It is almost hardy in my climate, not too fussy about the wet weather, and seems to bloom twice a year: Winter and late spring. 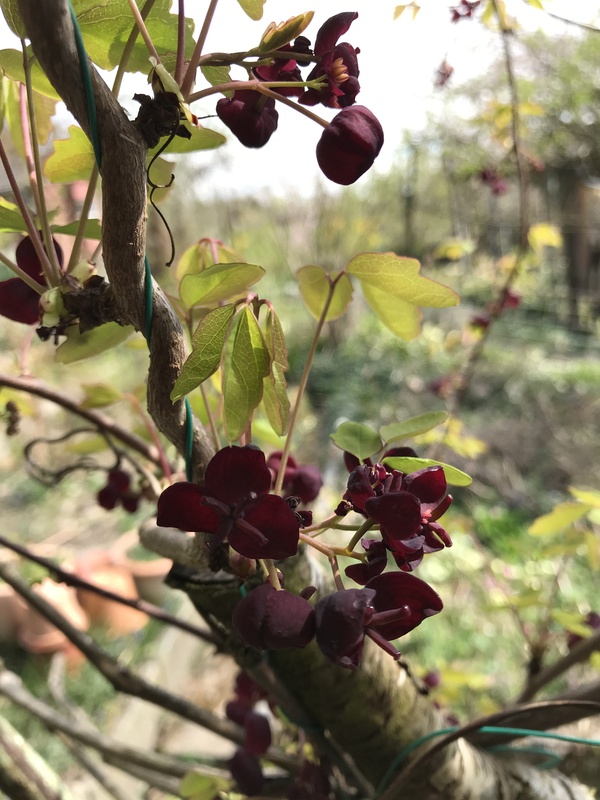 It’s an evergreen Amelanchier with edible berries from Mexico. 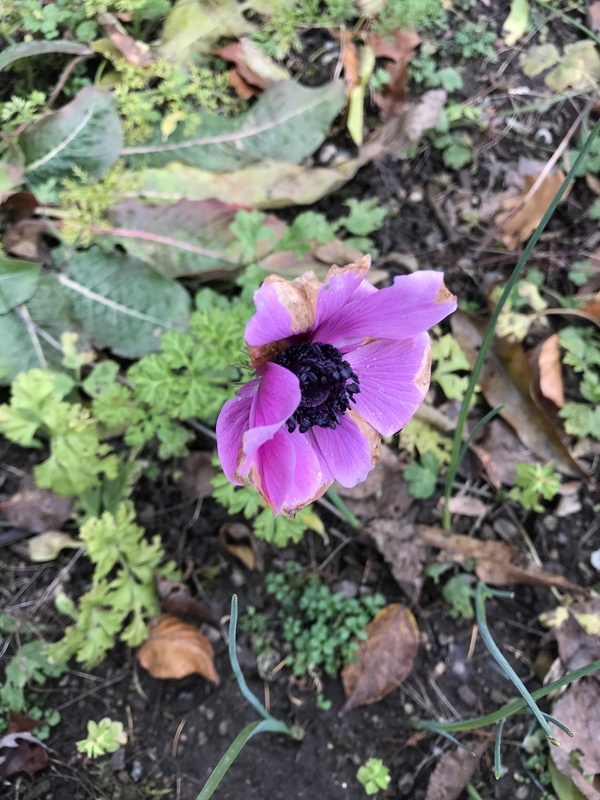 This Pulsatilla (noid) is flowering for some reason. 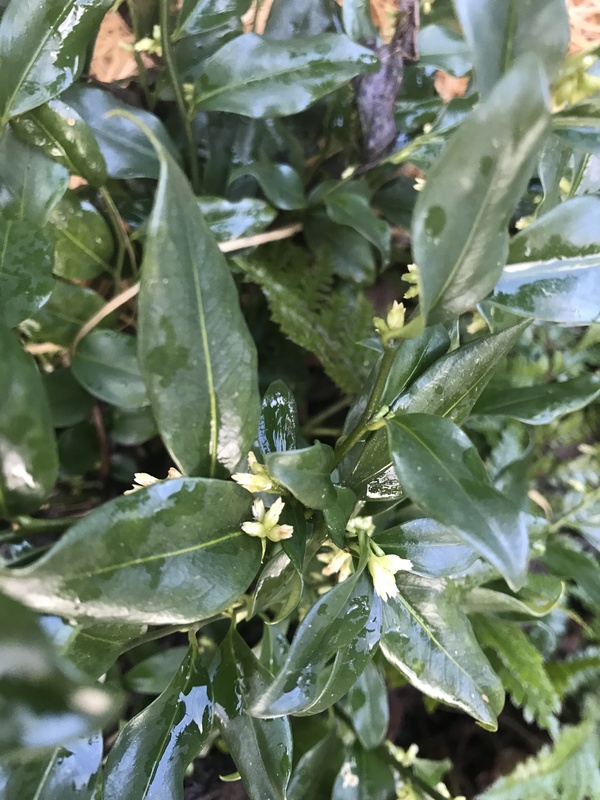 Hopefully the blooms of Sarcococca confusa will open soon. A great plant for shade, I want more of. Tiarella ‚Cascade Creeper‘ is surprisingly blooming. Garden Bloggers‘ Bloom Day is hosted by May Dreams Garden. I thought I would join with this „meme“ (not really a meme) of posting pictures of blooms in the garden every 15th of the month hosted by May Dreams Garden. Maybe it will encourage me to post more regularly. We didn’t have any frosts here in the lower regions of Switzerland yet, so most of the plants are still well and alive. This will change presumably next week. 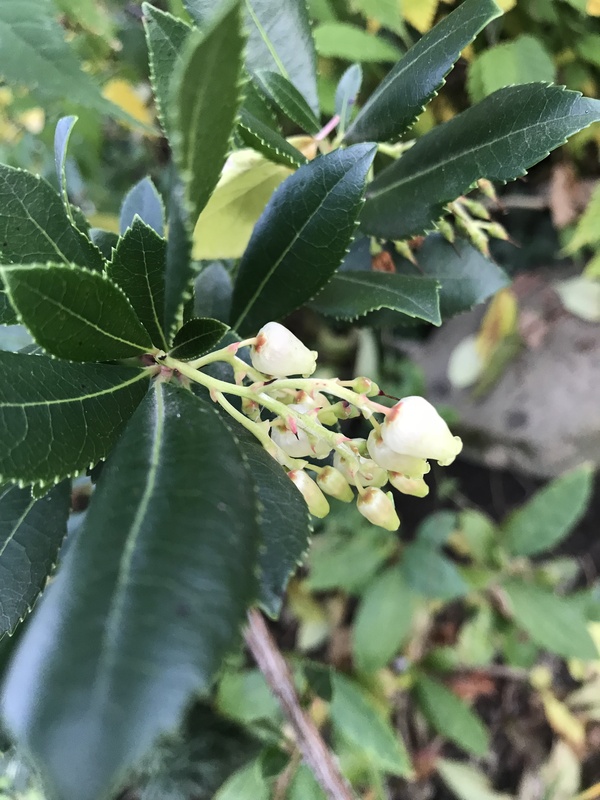 So let’s start with Arbutus unedo ‚Compacta‘, which is a dependable bloomer. 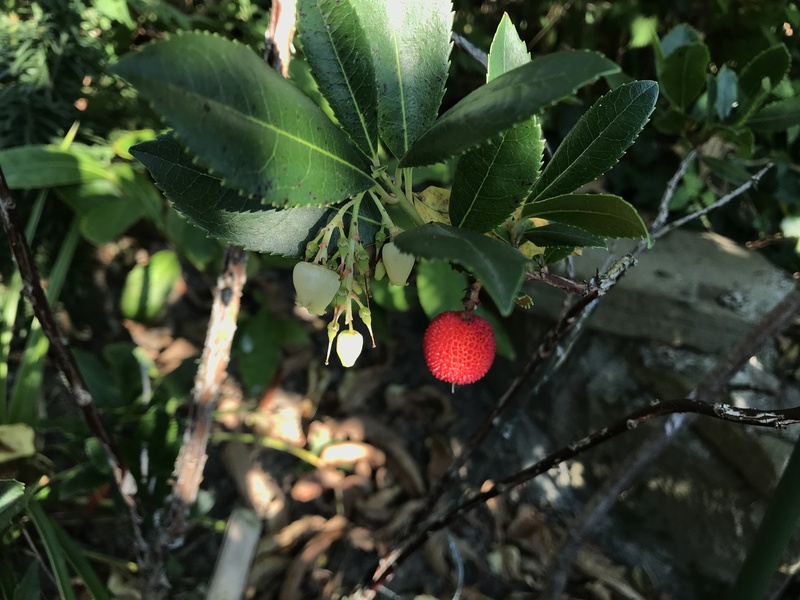 The fruit ripens when Arbutus starts flowering. 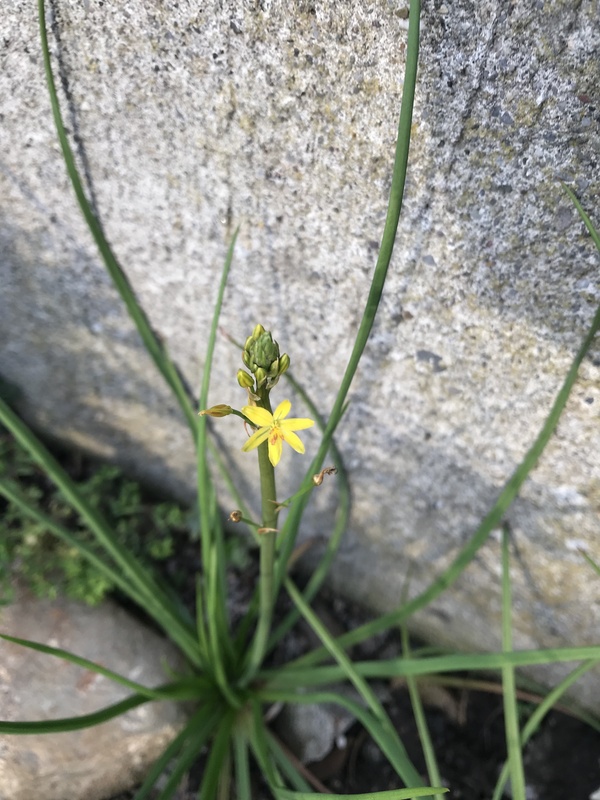 Bulbine bulbosa self-seeded. 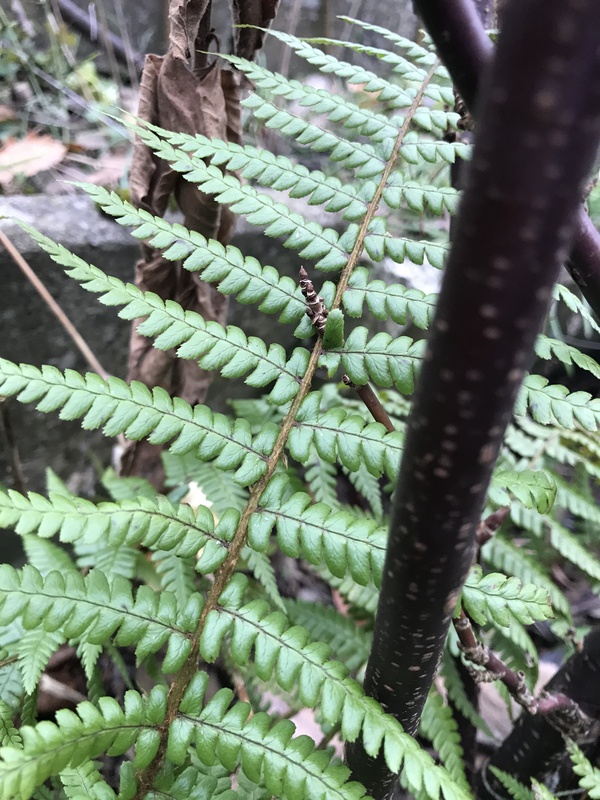 I think I grew this Australian native two years ago, it didn’t survive winter, but two self-seeded plants grew to the flowering stage this year. This tall Cosmea flopped over recently. It will be probably gone by next week’s frost. 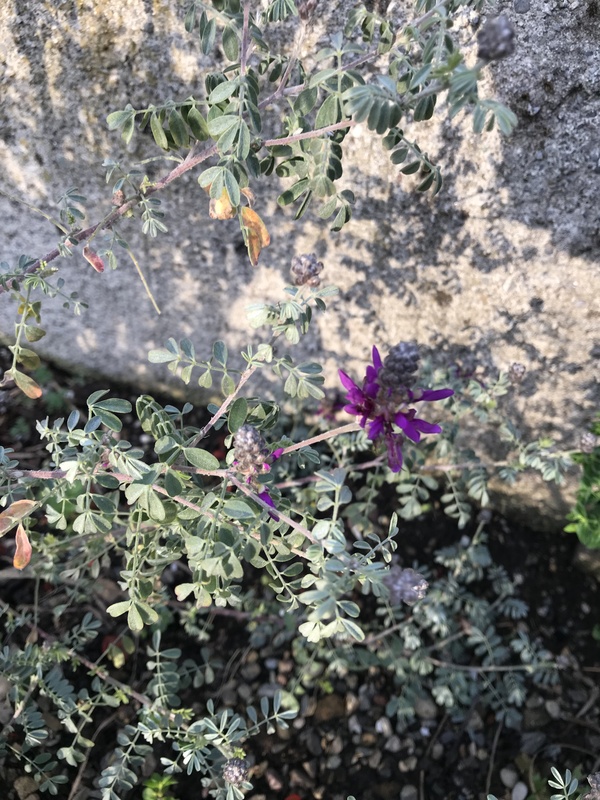 I planted this Dalea bicolor this year and it’s already flowering! Will it survive our wet winter, though? 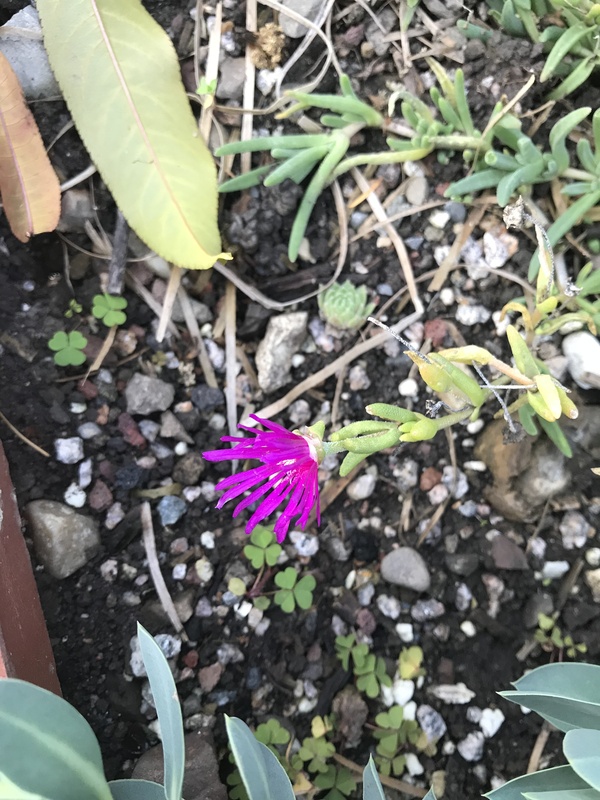 A hot pink, random Delosperma bloom. 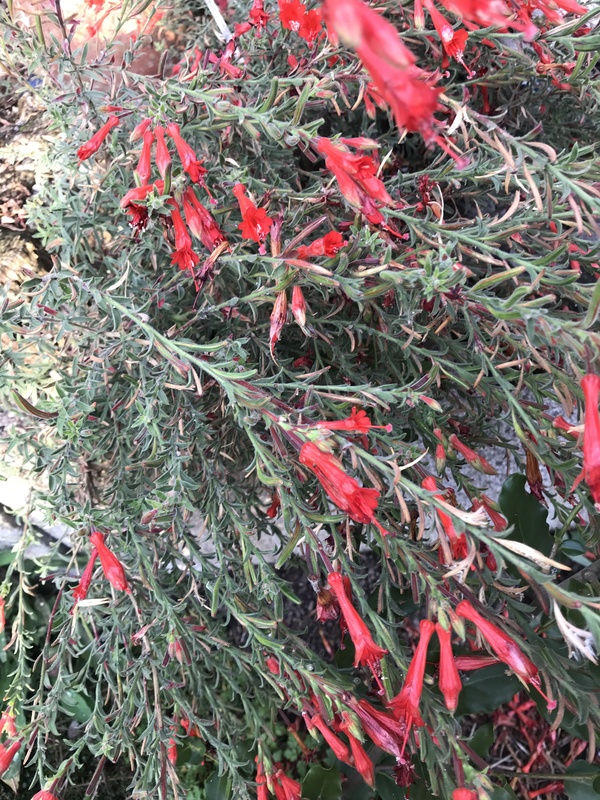 This Zauschneria (Epilobium) californica ‚Western Hills‘ is a champ. It is blooming since early summer and looked stunning for a long time. I want more of it! 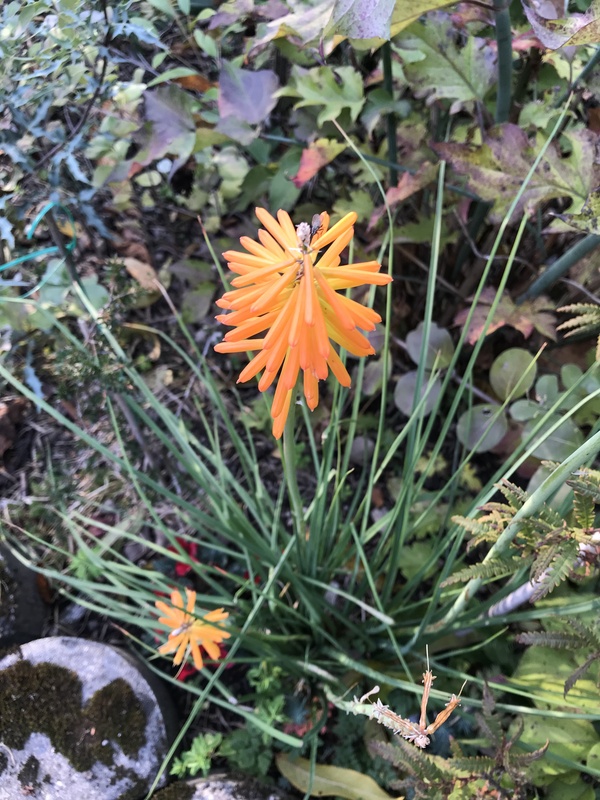 The last of the Kniphofias still blooming: Kniphofia ‚Mango Popsicle‘. It glows from miles away. Beautiful! 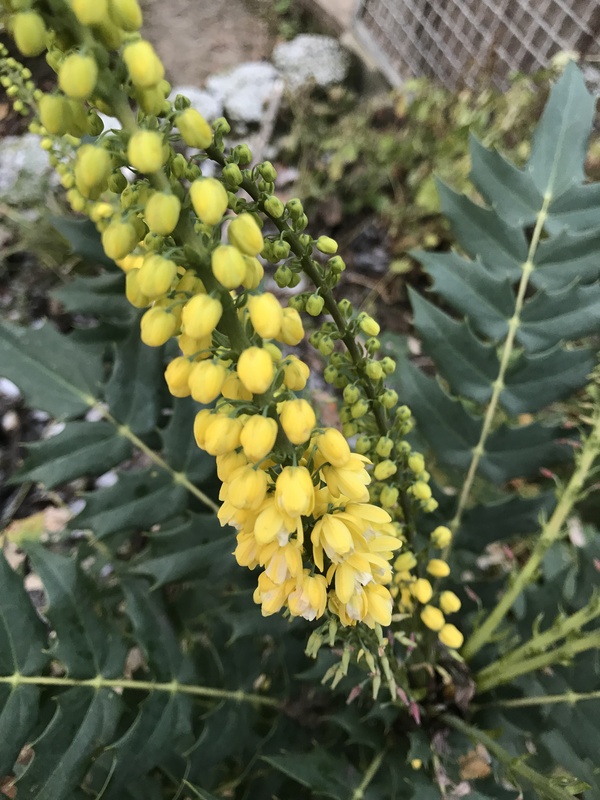 Mahonia media ‚Winter Sun‘ smells so good when it’s warm and sunny. But I’m a bit disappointed with the pale flower color. 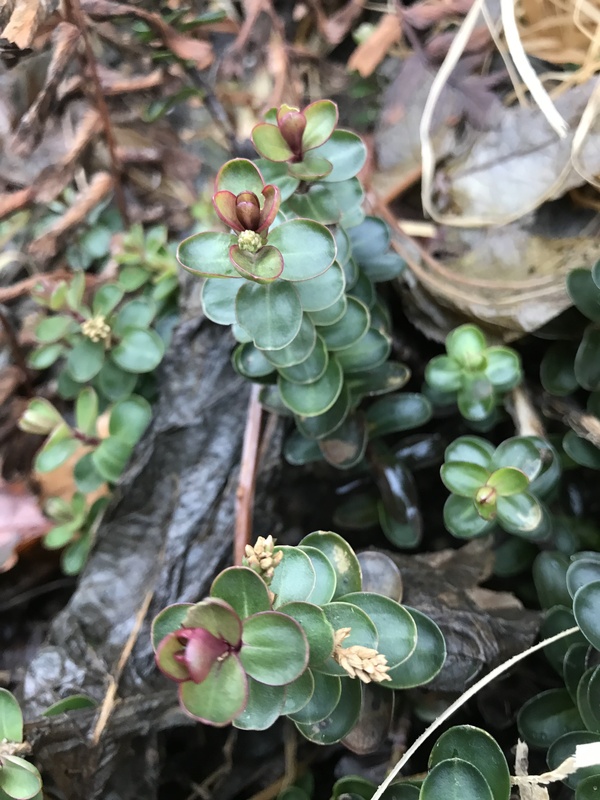 Tiny blooms on Muehlenbeckia axillaris (it counts!). 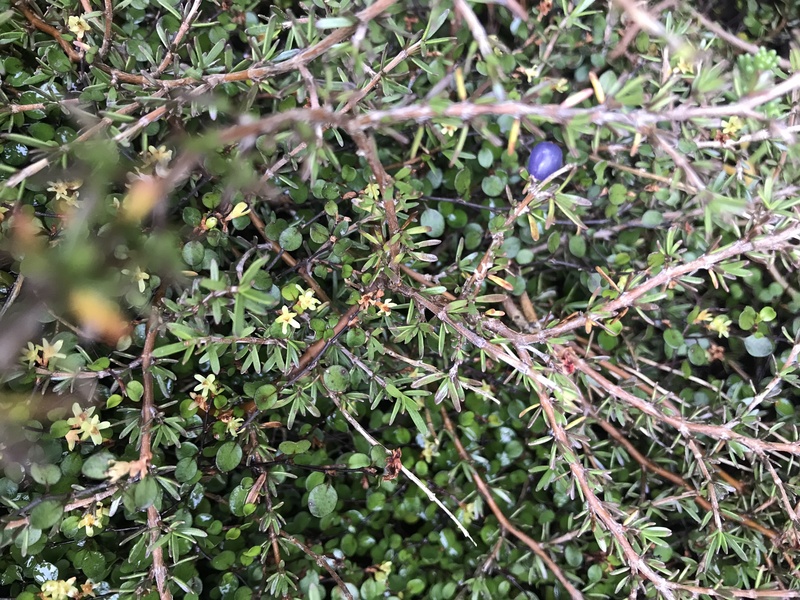 It grows well together with Coprosma acerosa var. brunnea. They’re a great combination. 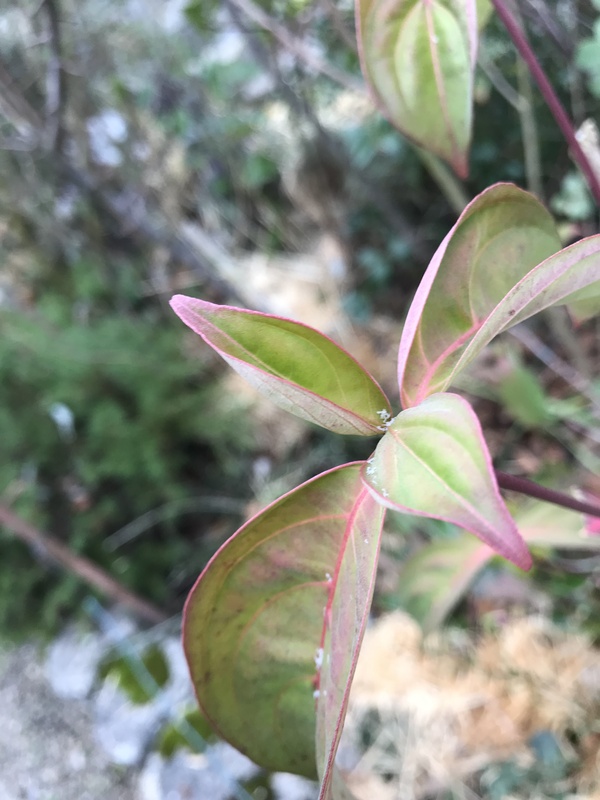 Color pop from a Coprosma berry. 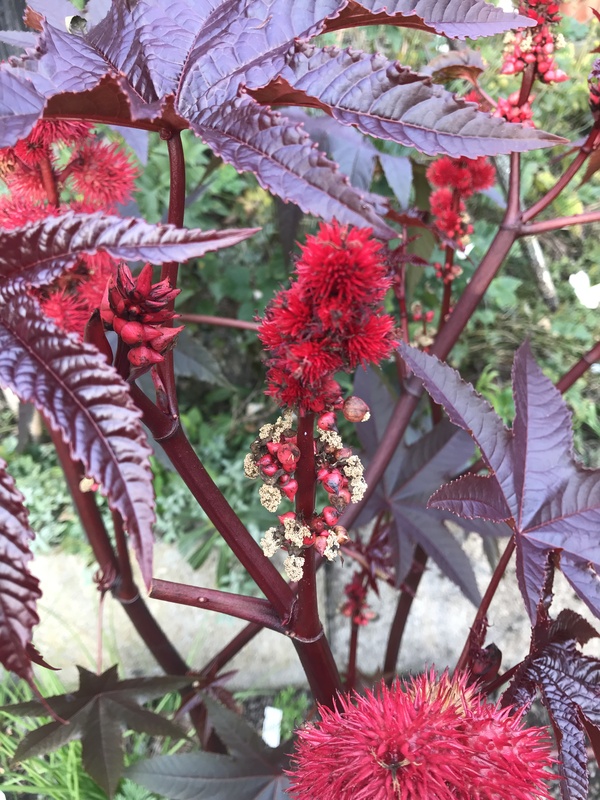 Ricinus is still standing and blooming. Last but not least: Rosemary. Lass leben! Erstelle eine kostenlose Website oder Blog – auf WordPress.com.